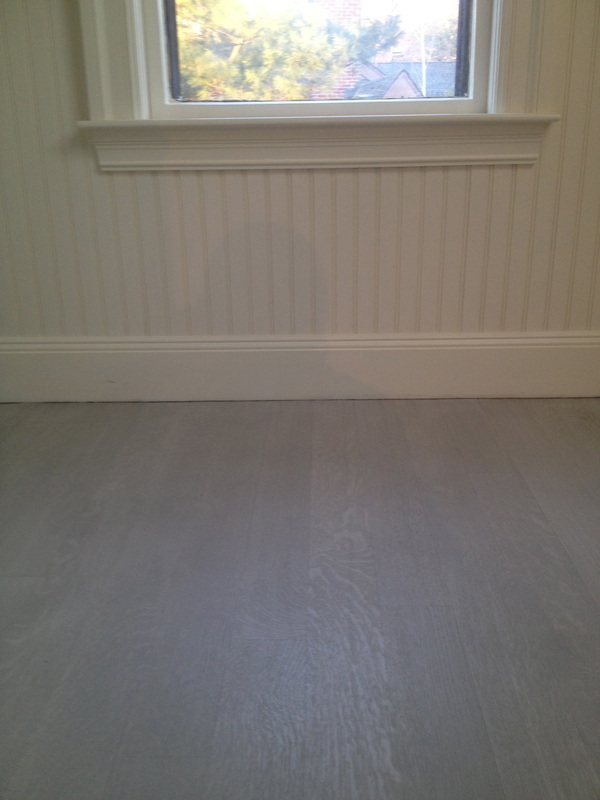 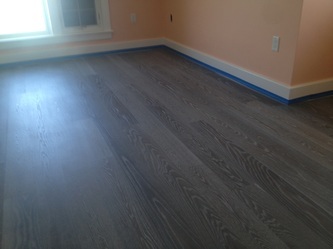 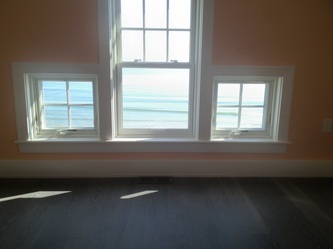 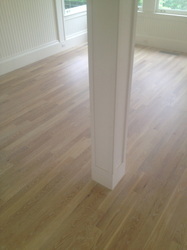 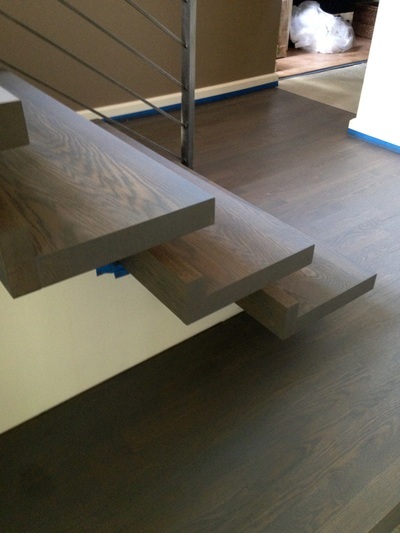 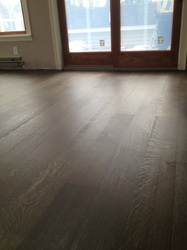 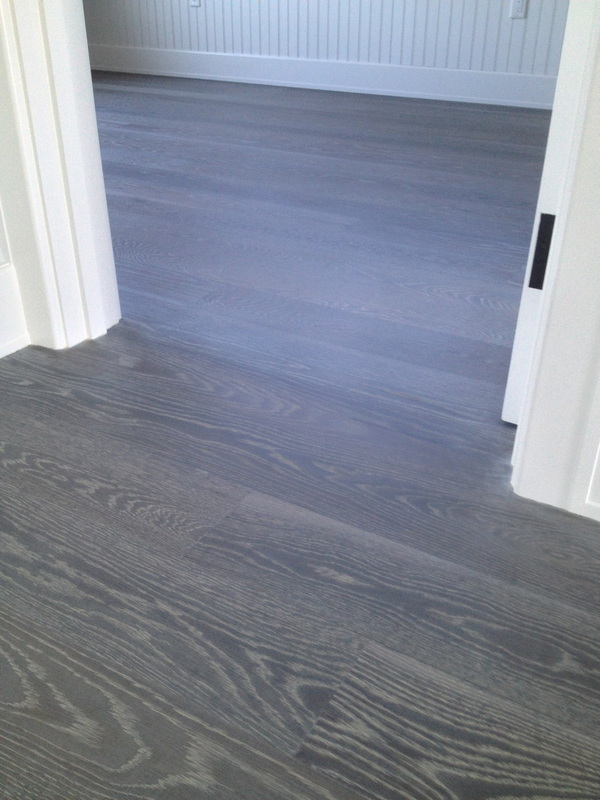 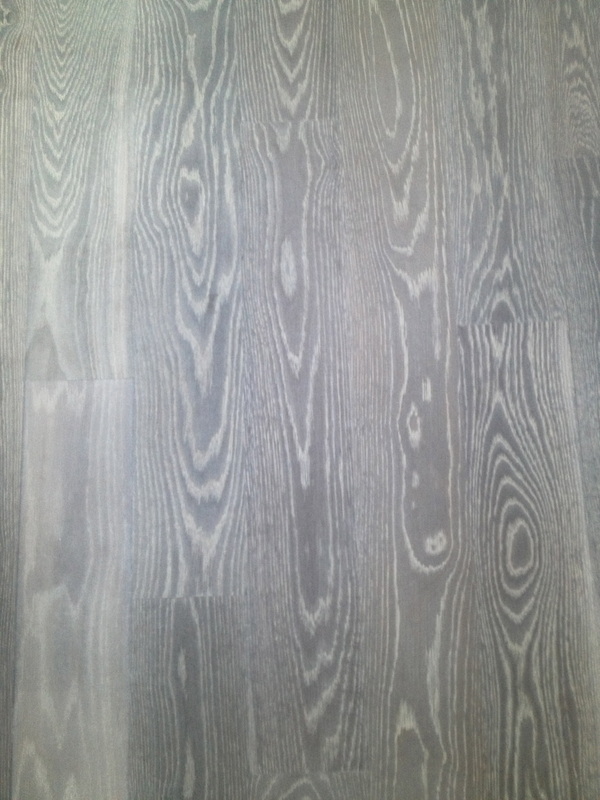 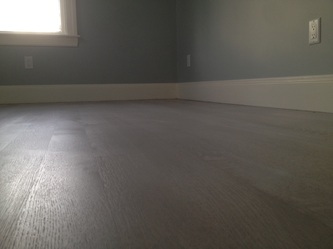 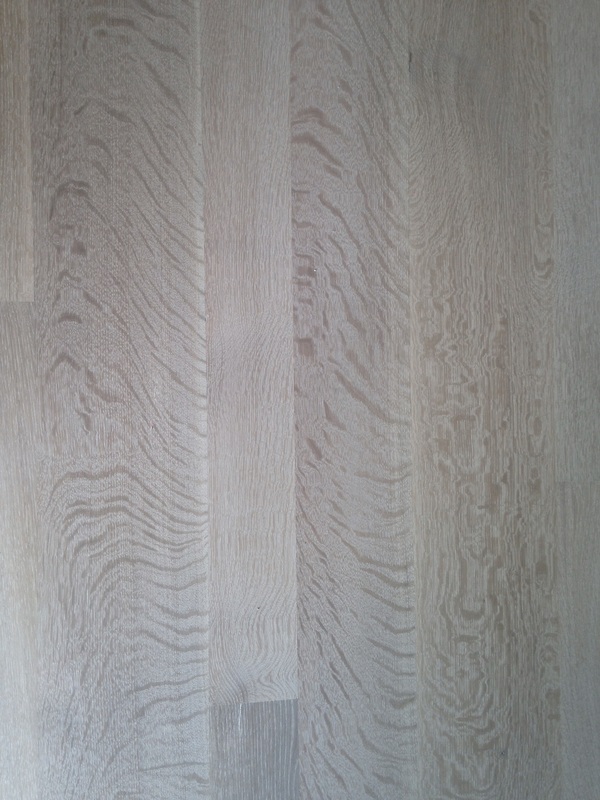 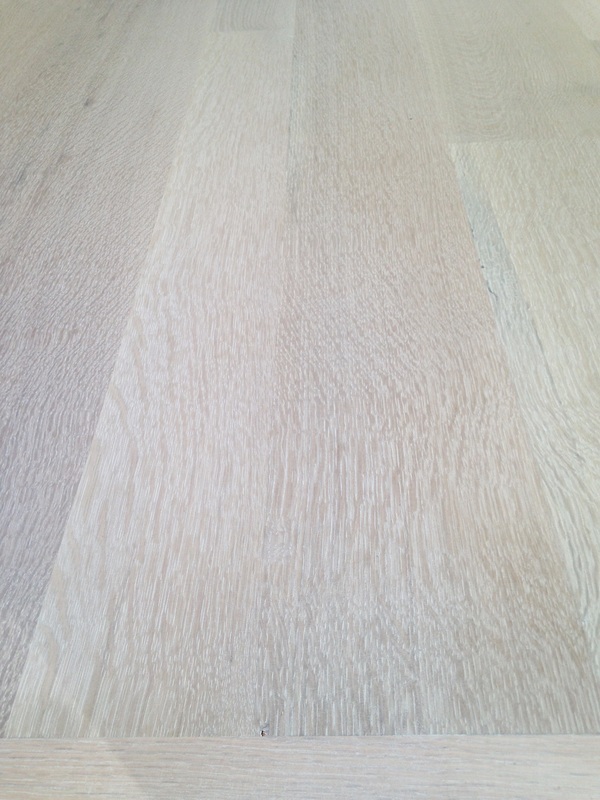 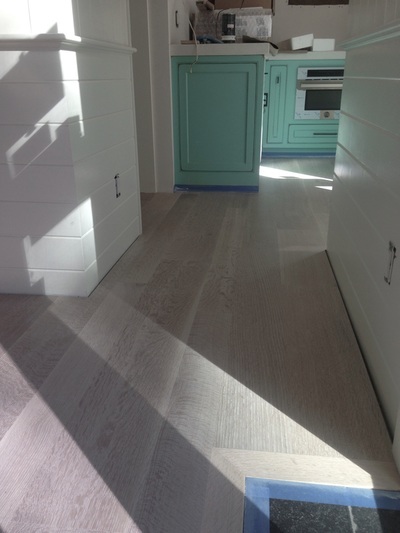 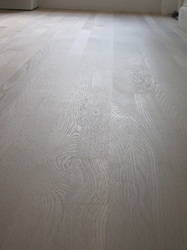 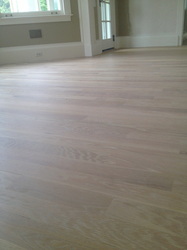 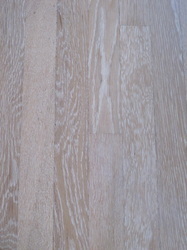 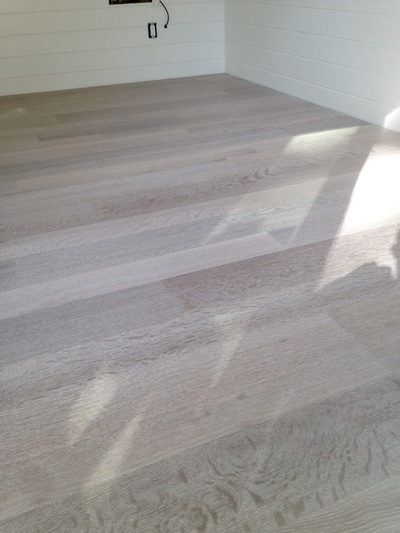 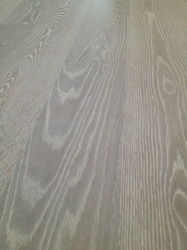 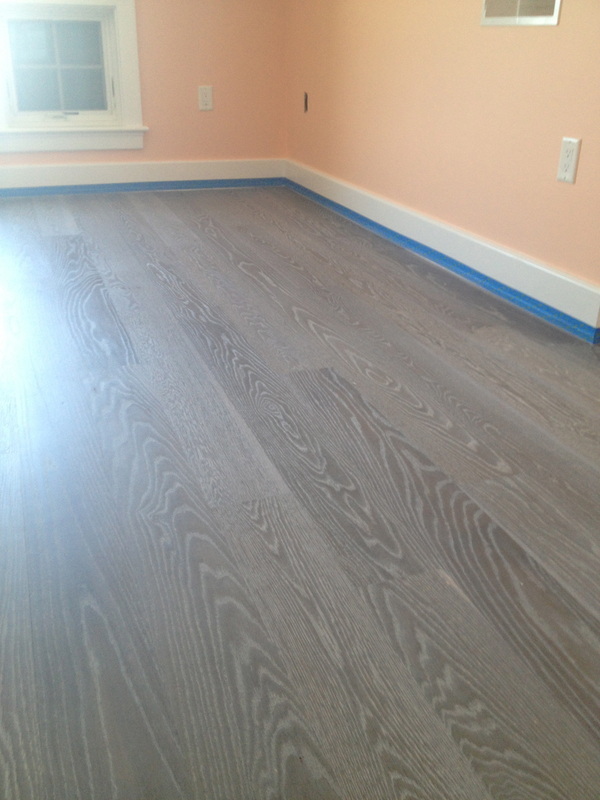 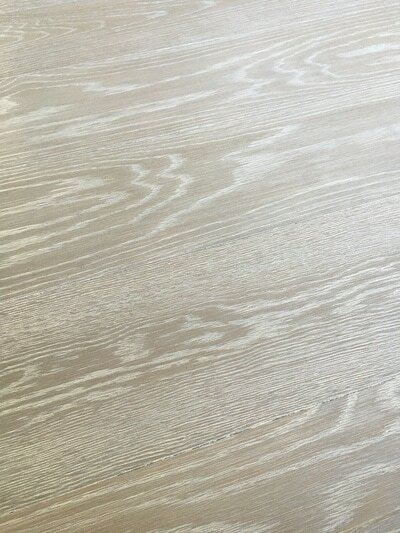 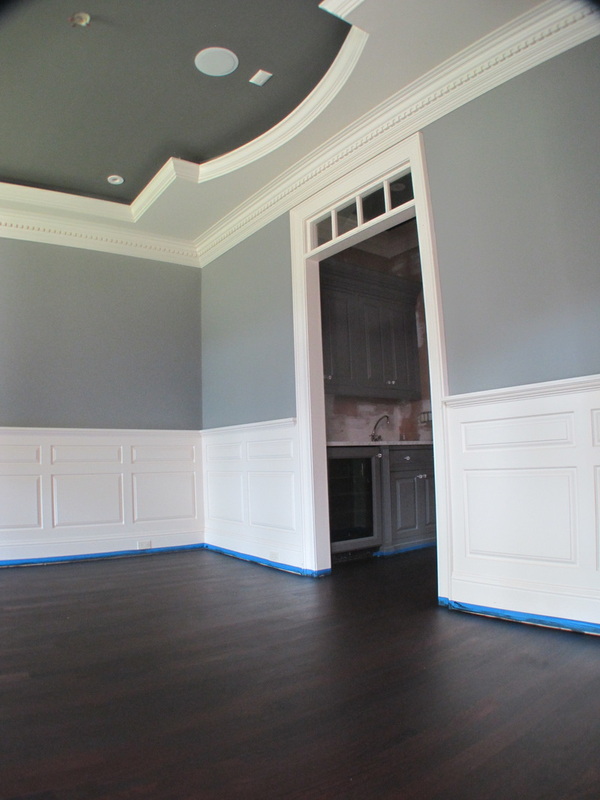 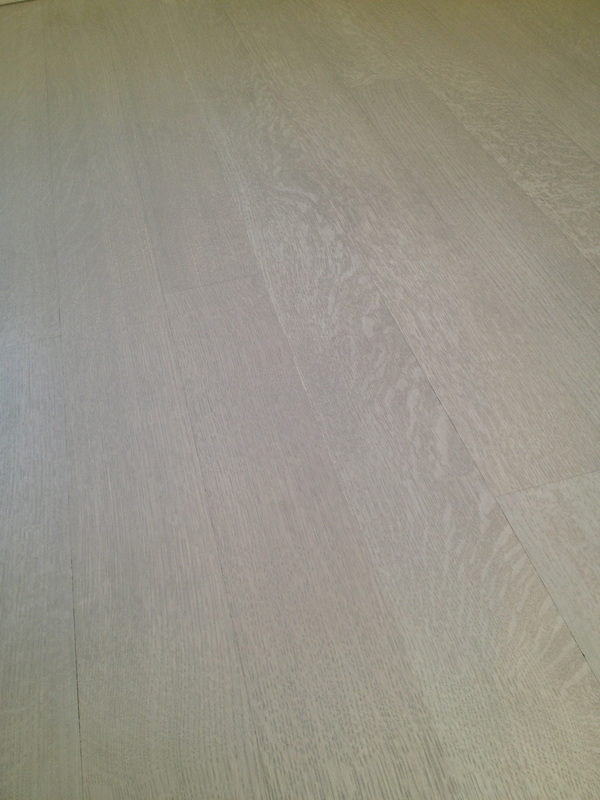 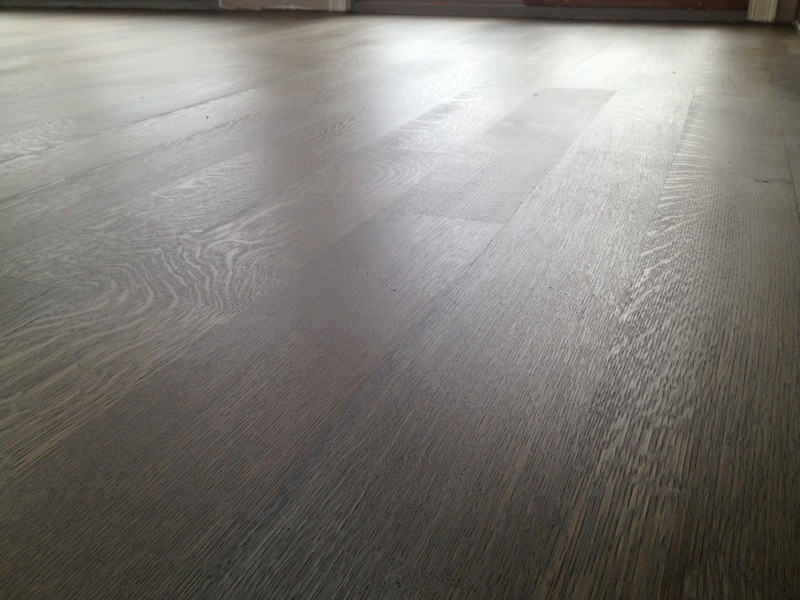 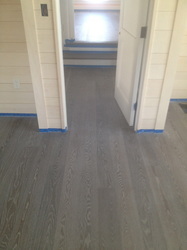 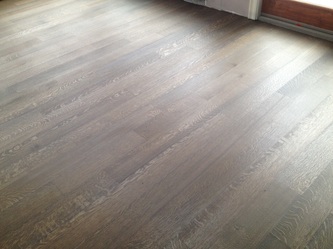 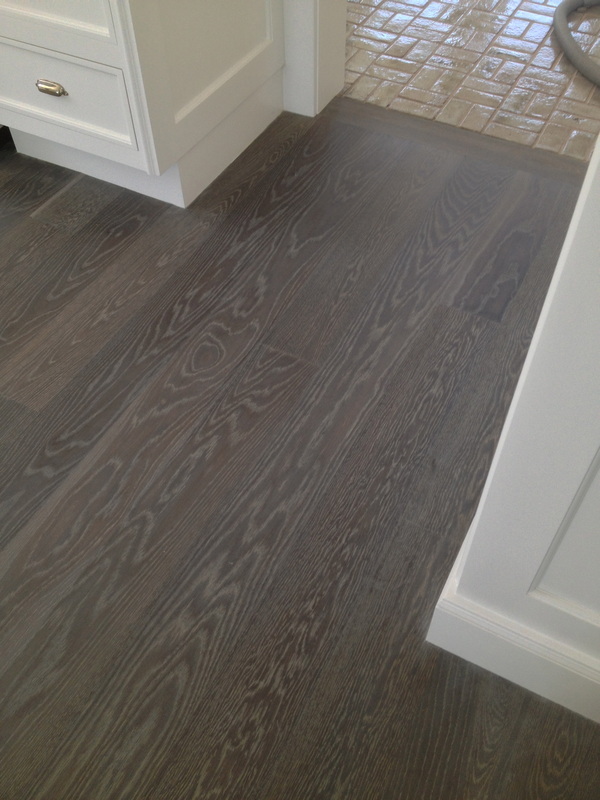 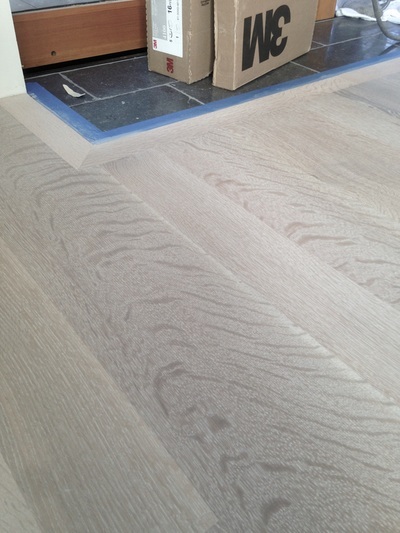 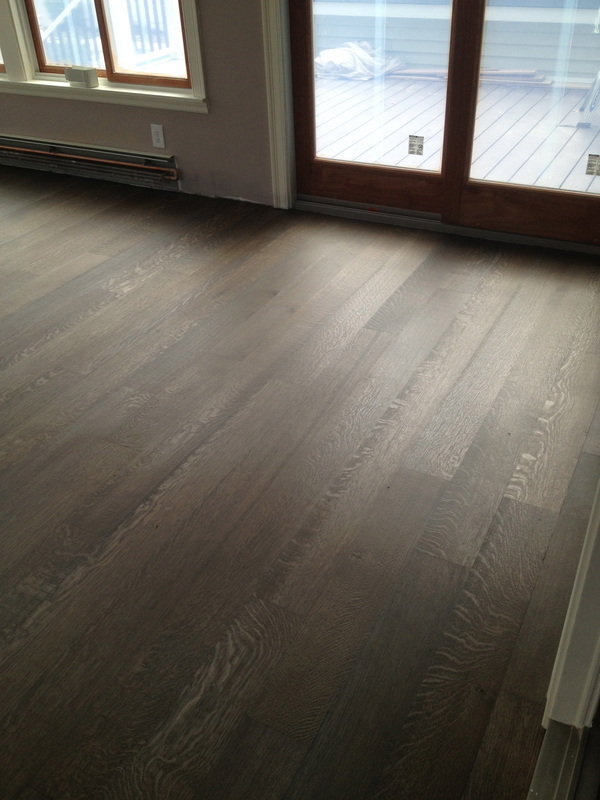 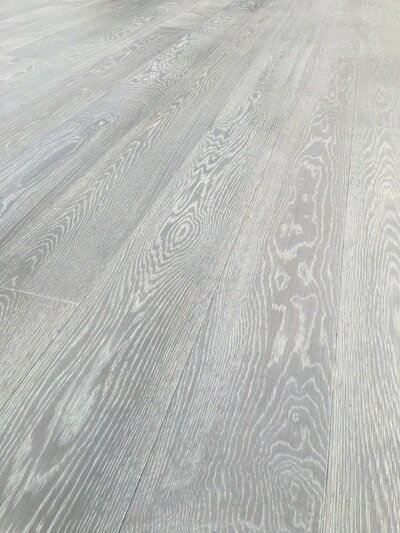 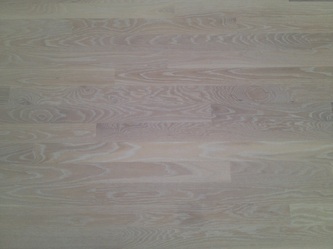 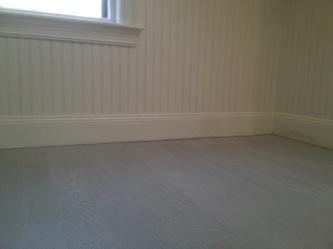 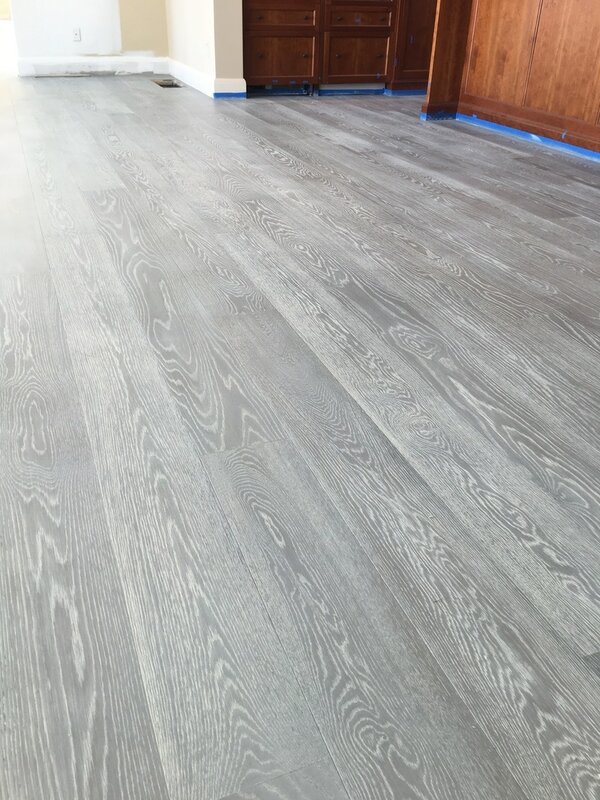 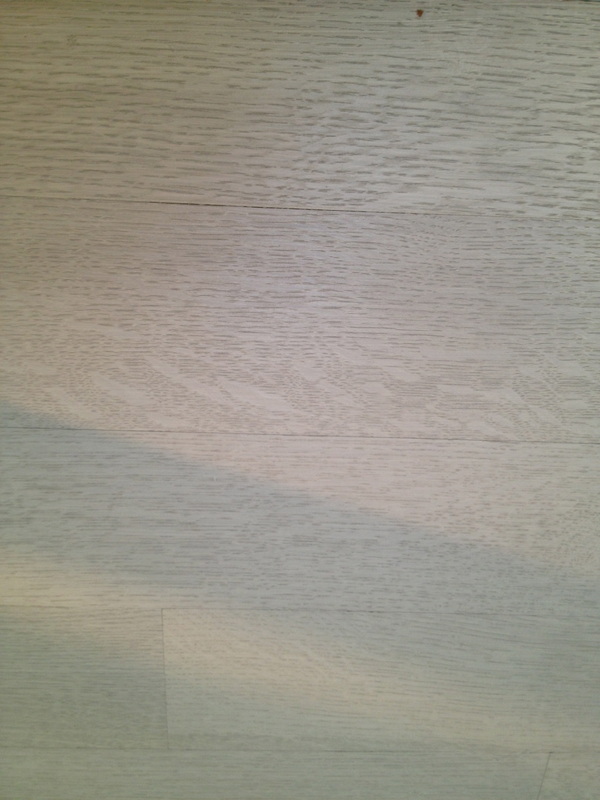 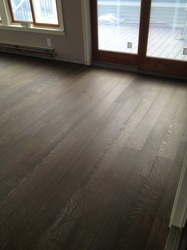 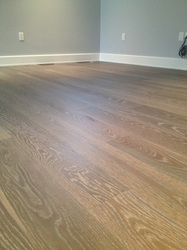 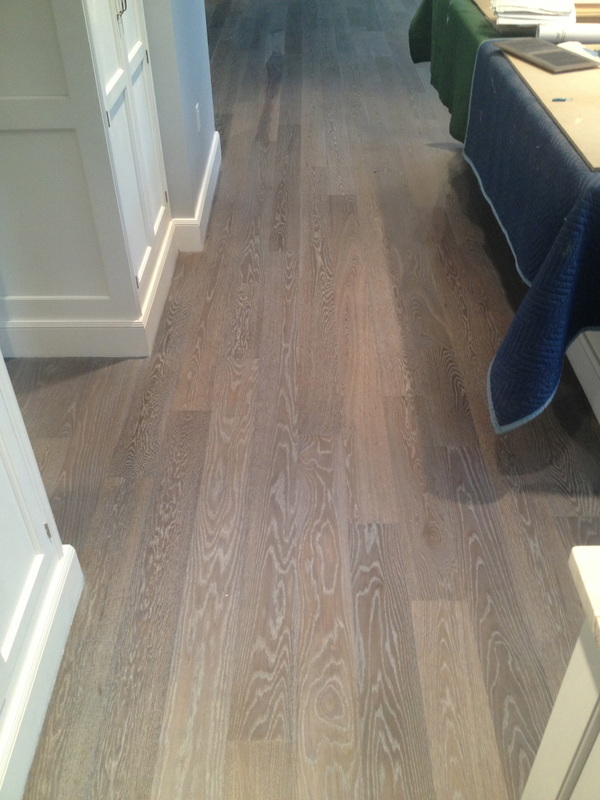 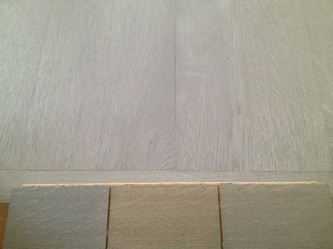 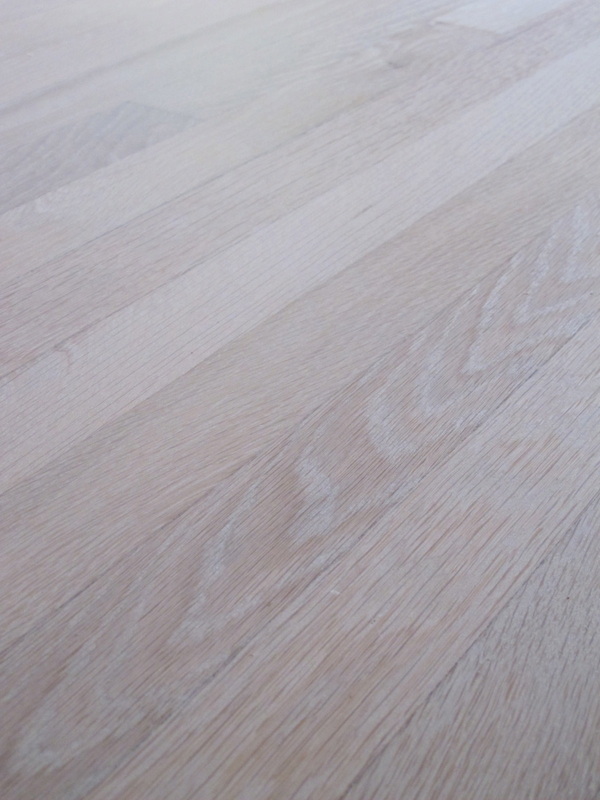 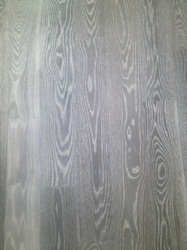 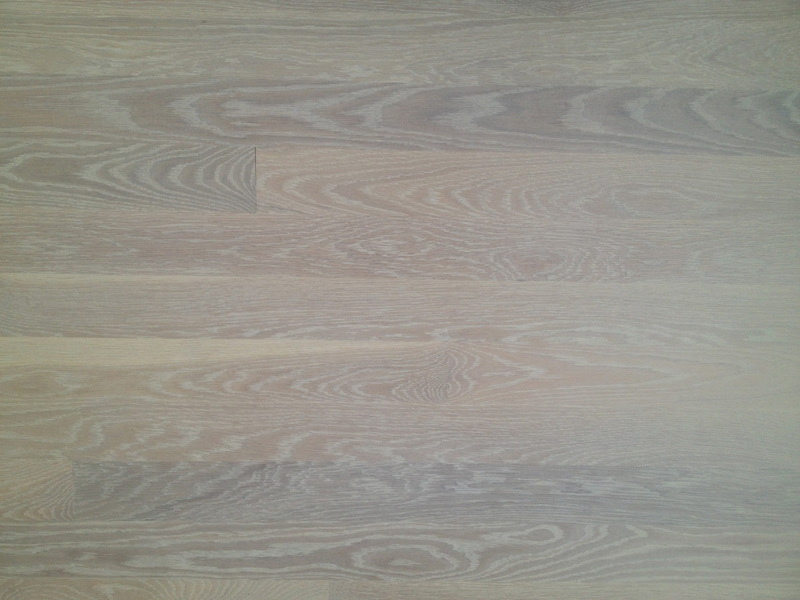 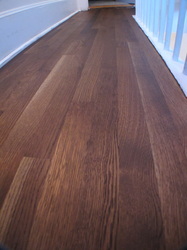 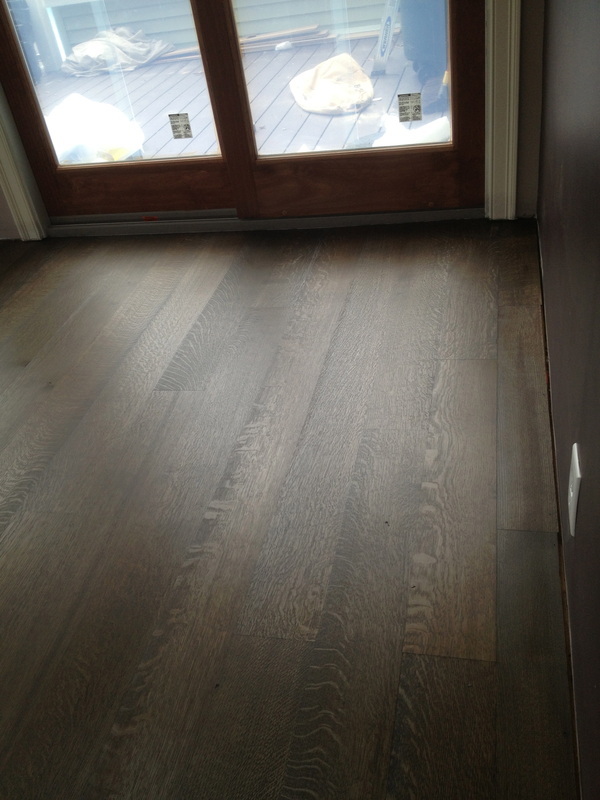 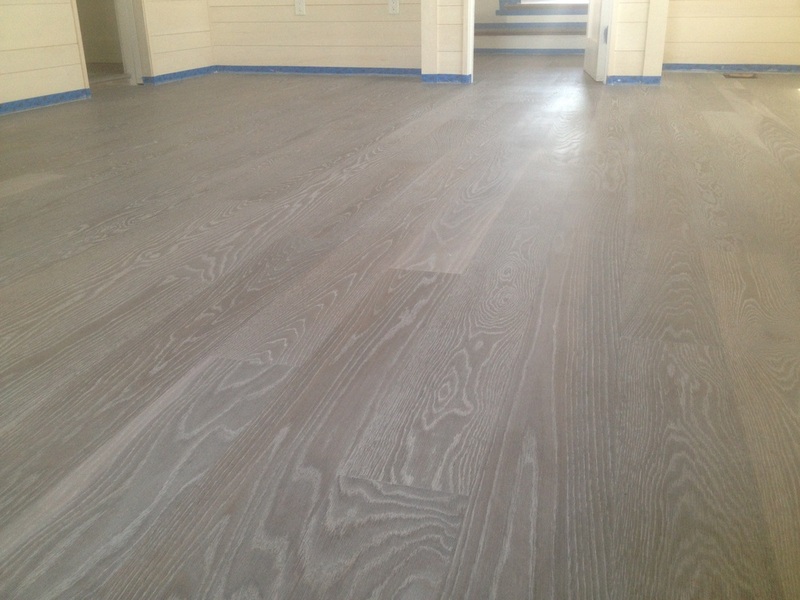 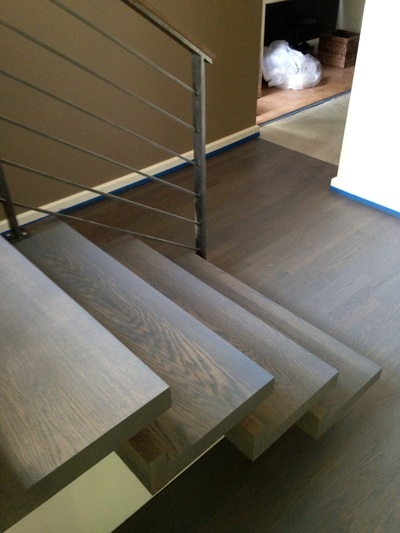 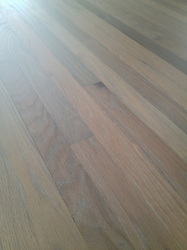 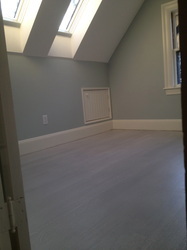 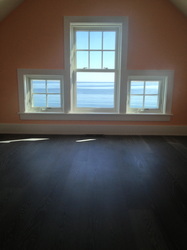 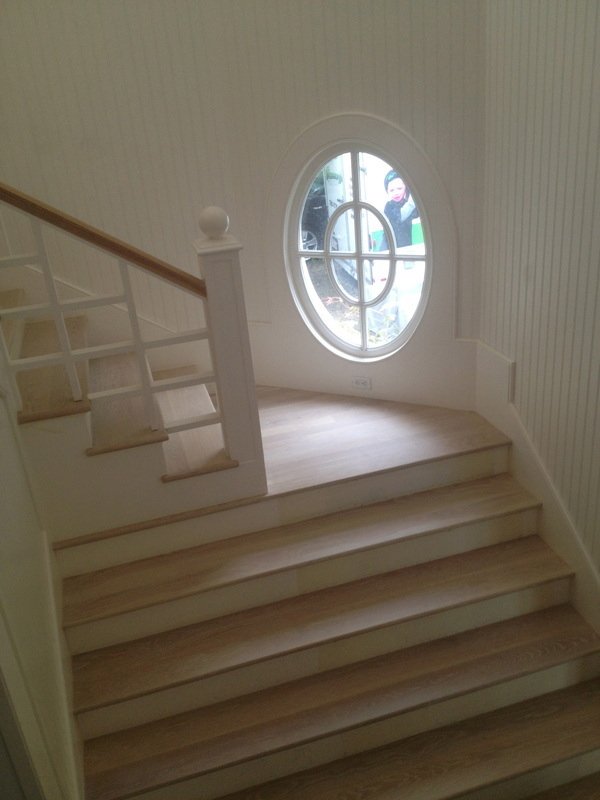 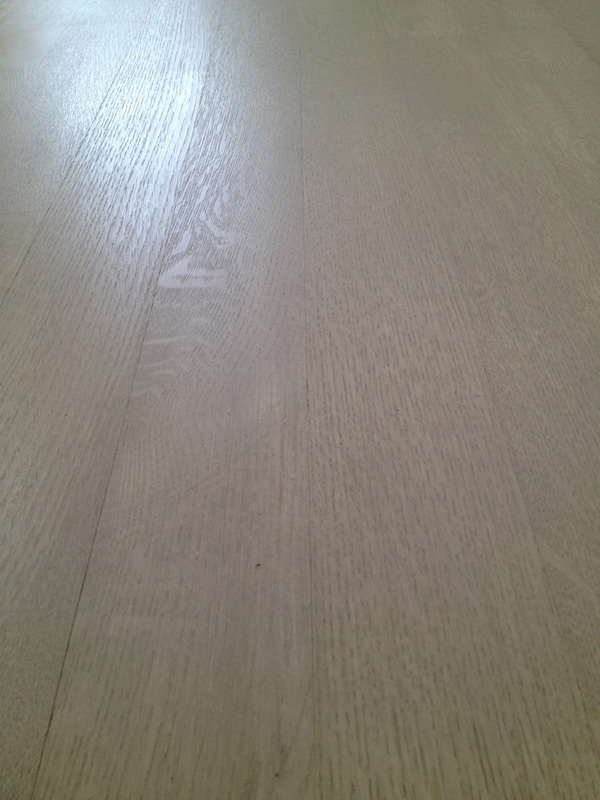 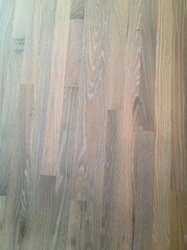 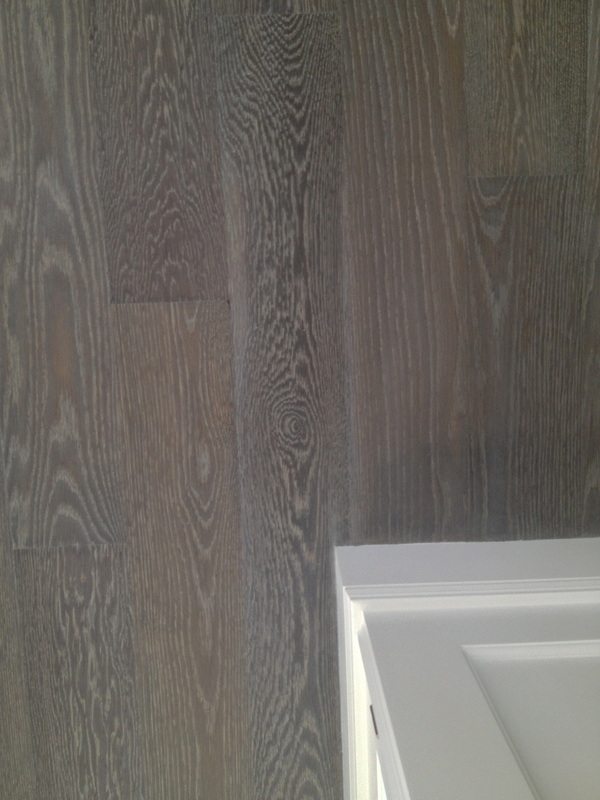 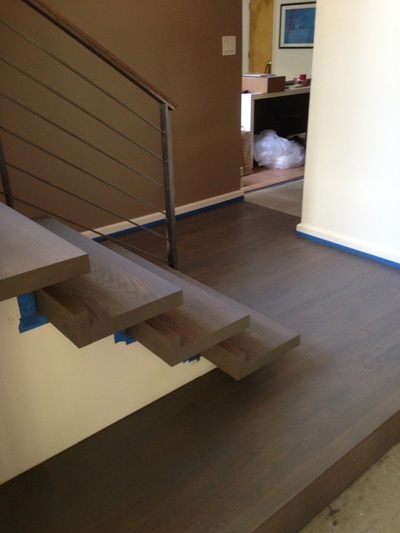 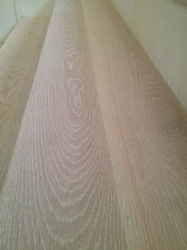 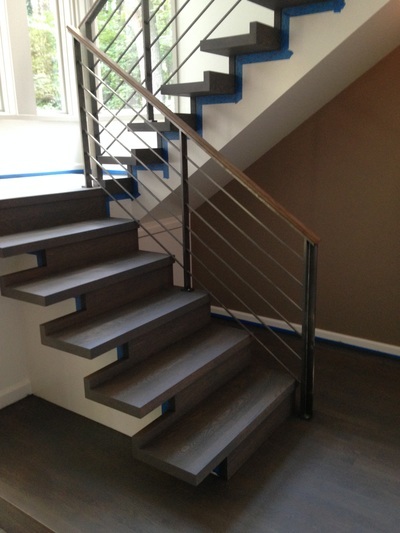 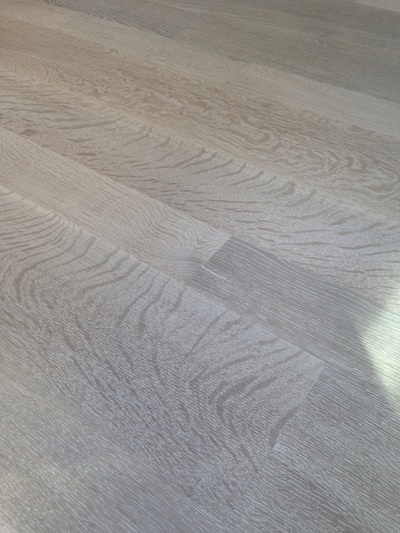 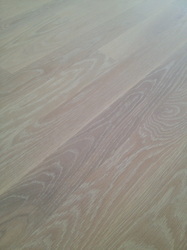 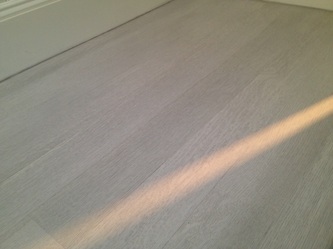 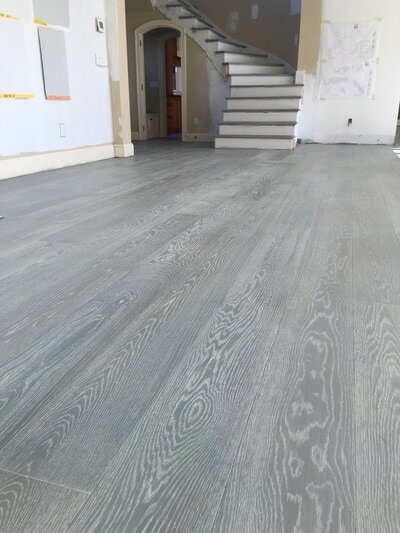 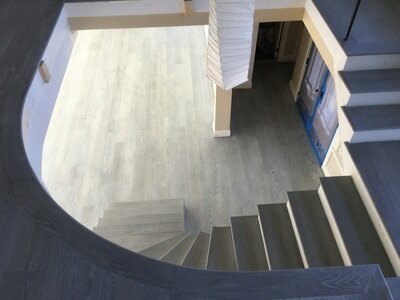 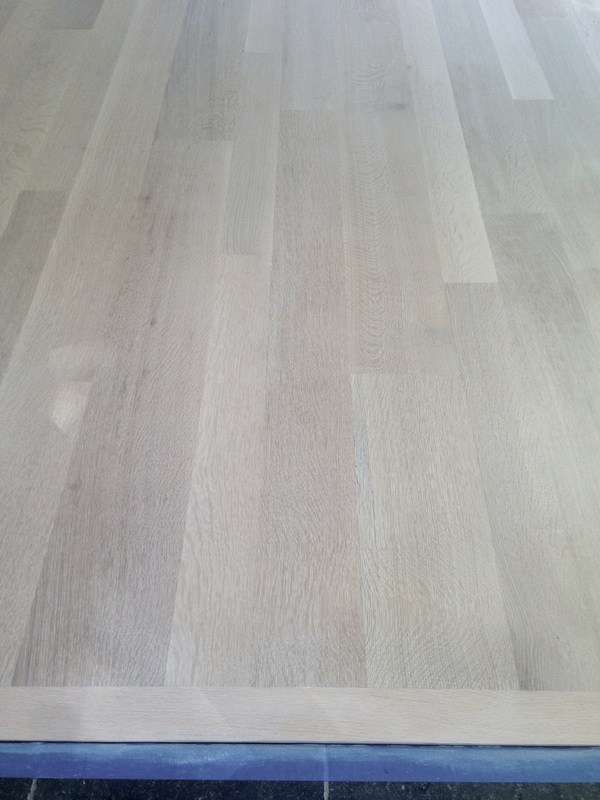 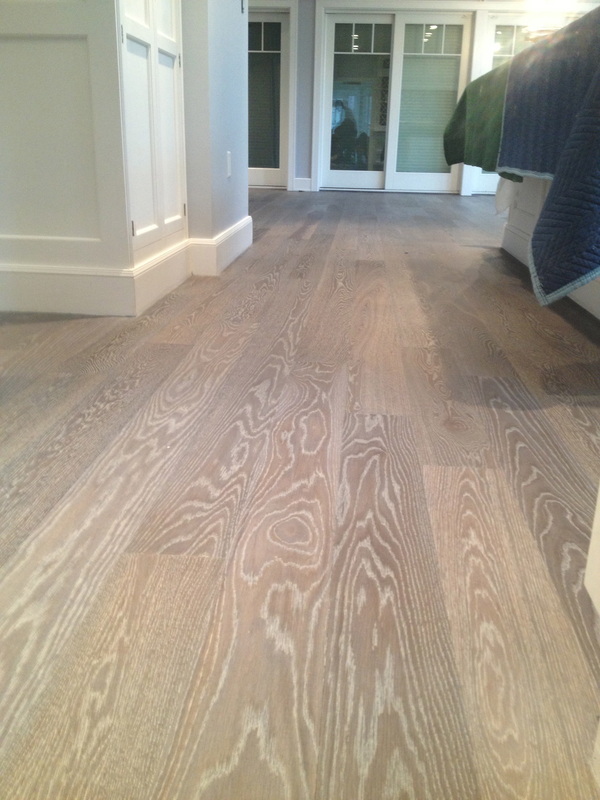 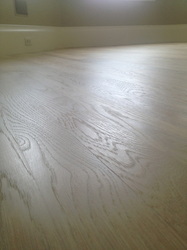 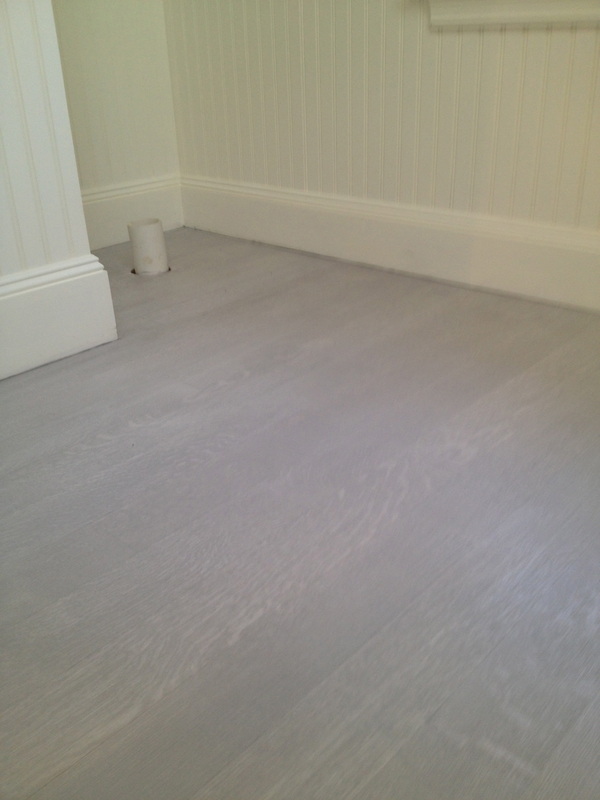 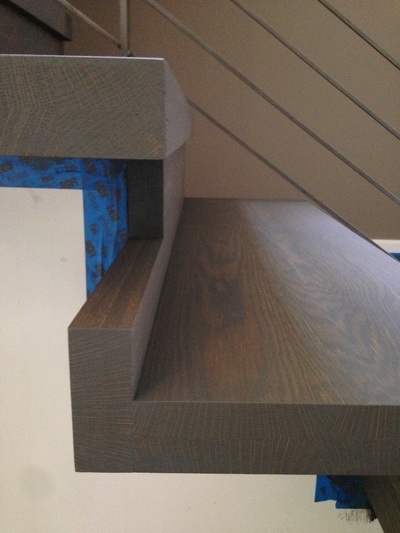 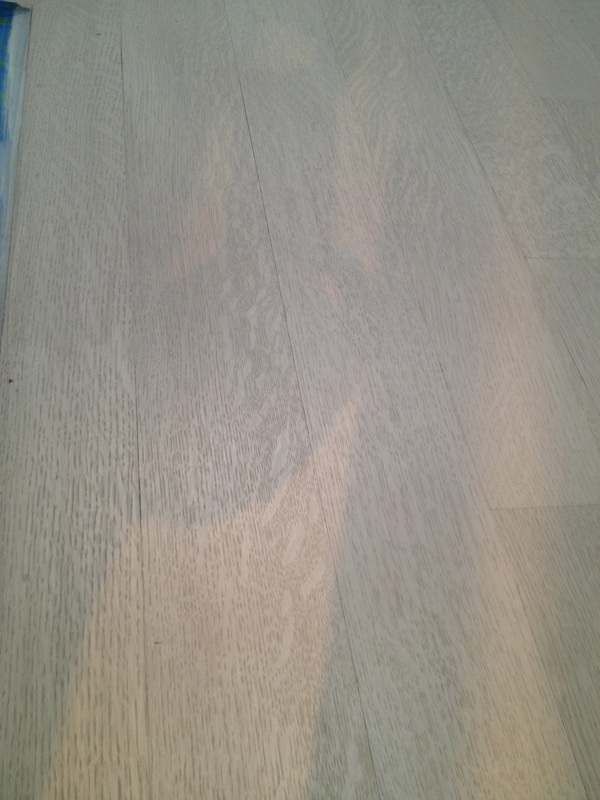 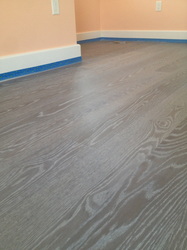 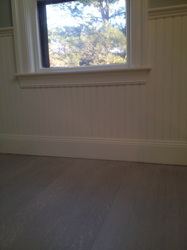 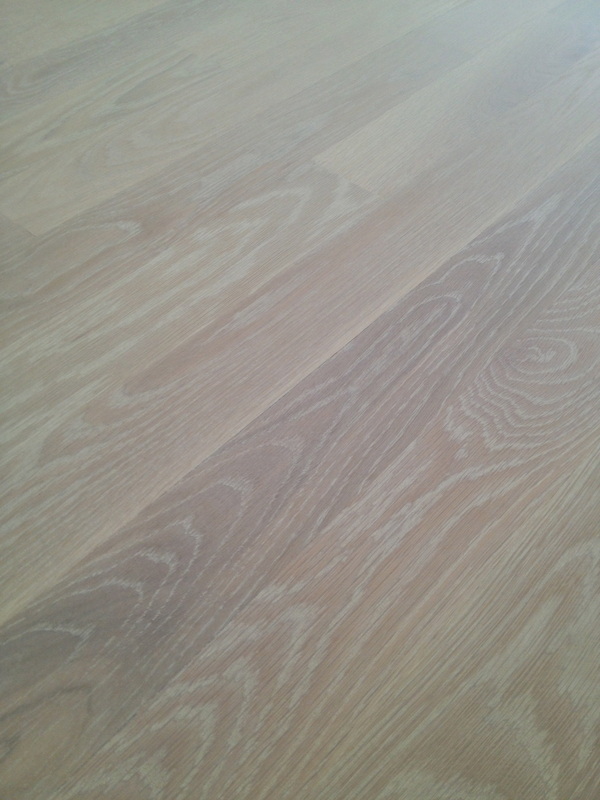 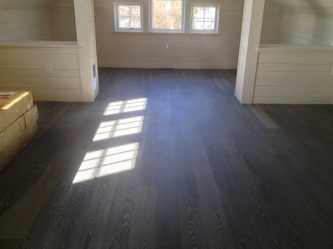 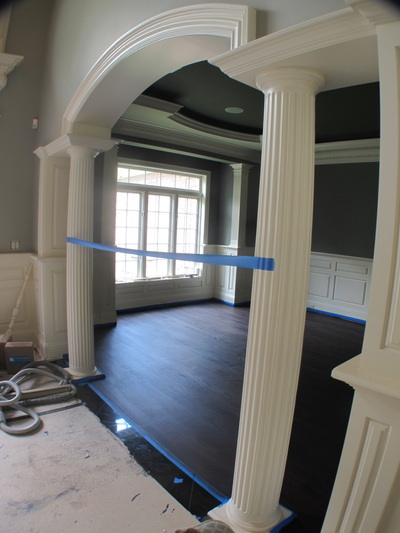 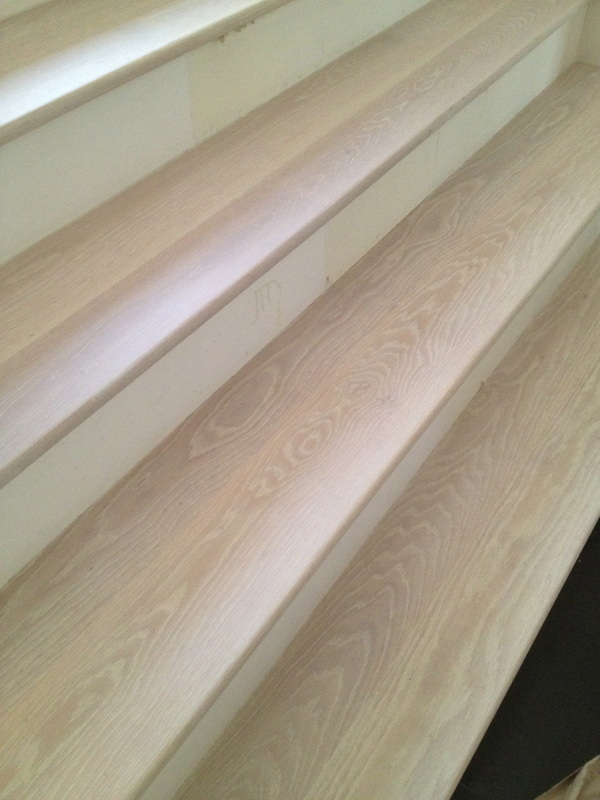 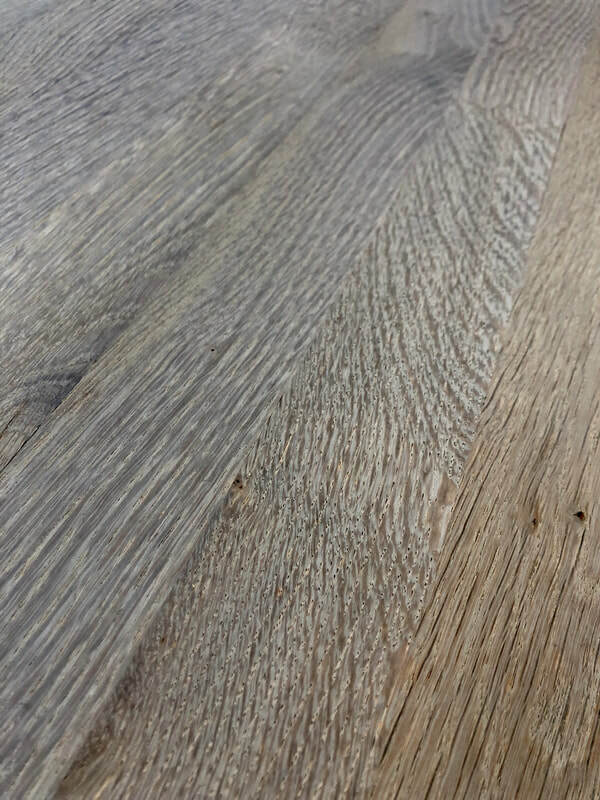 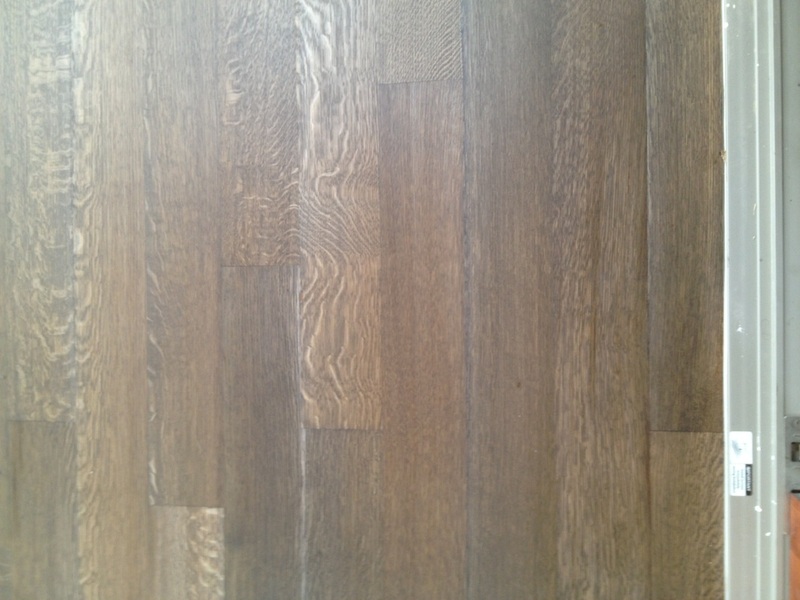 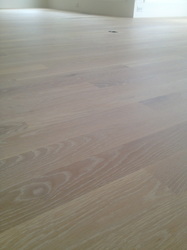 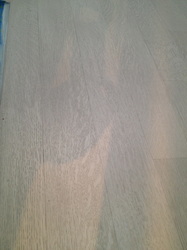 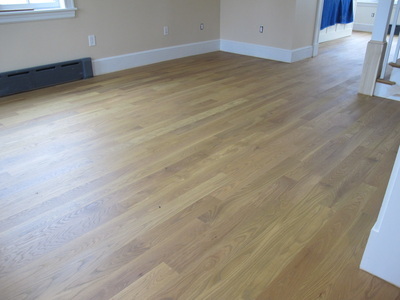 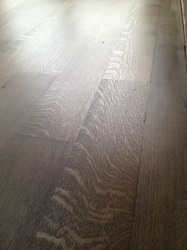 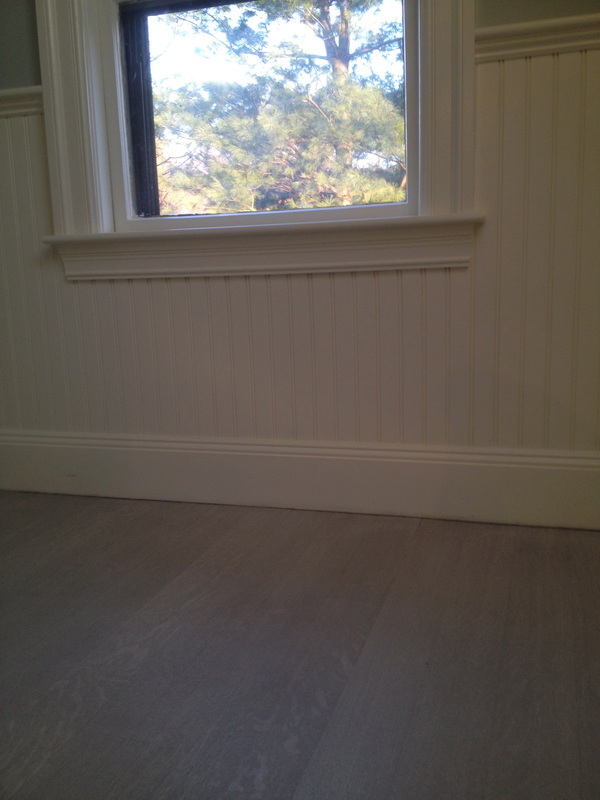 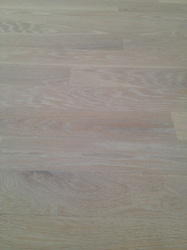 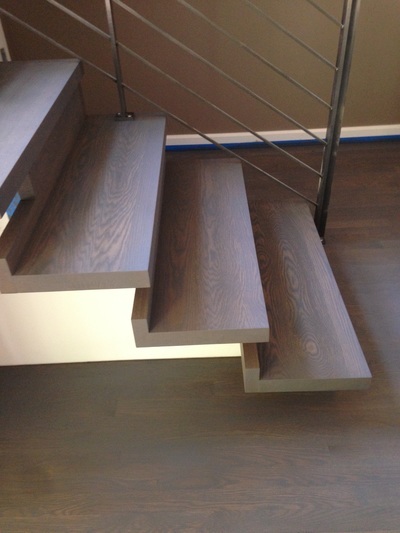 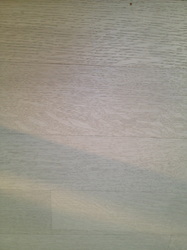 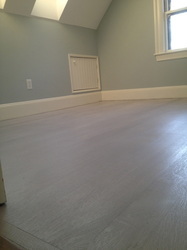 Rubio Monocoat is a zero VOC finish! 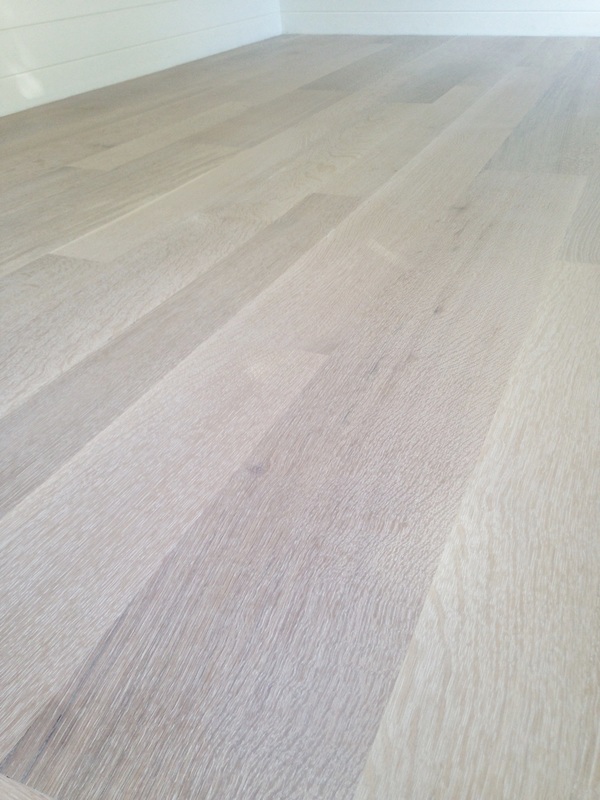 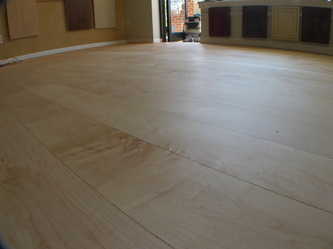 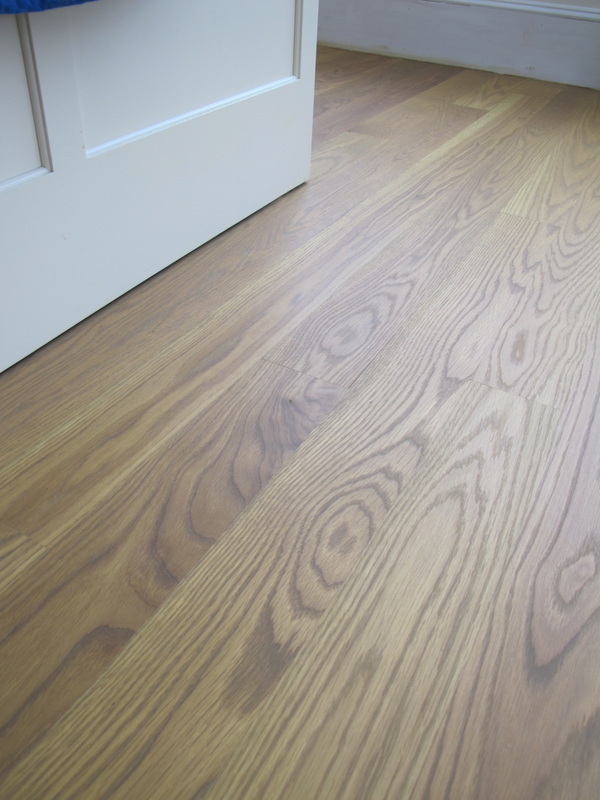 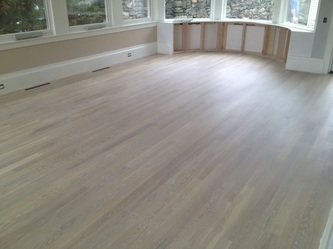 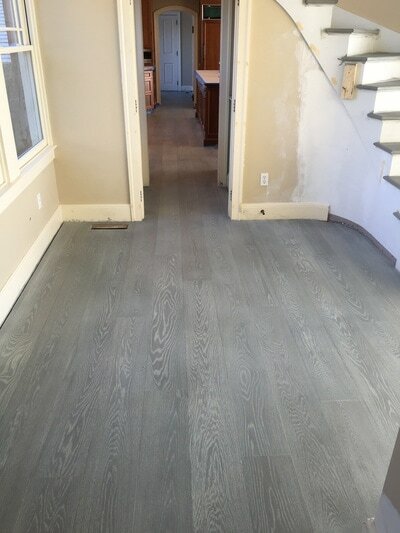 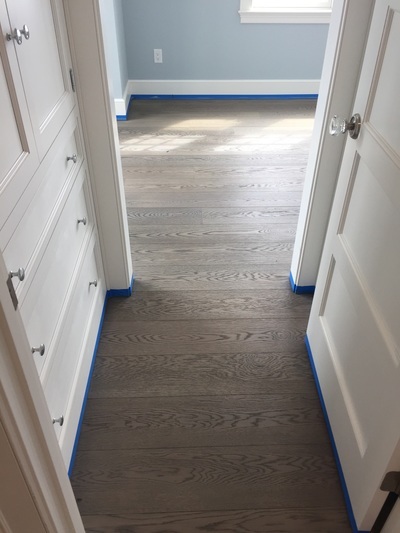 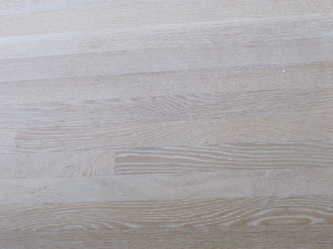 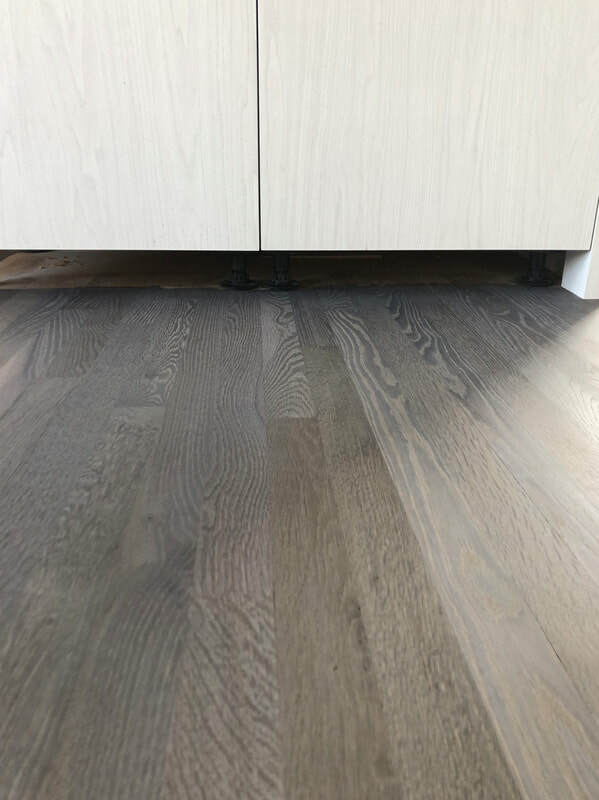 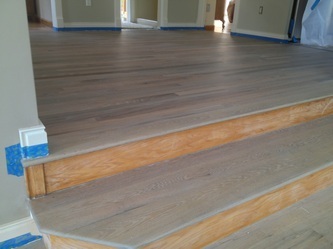 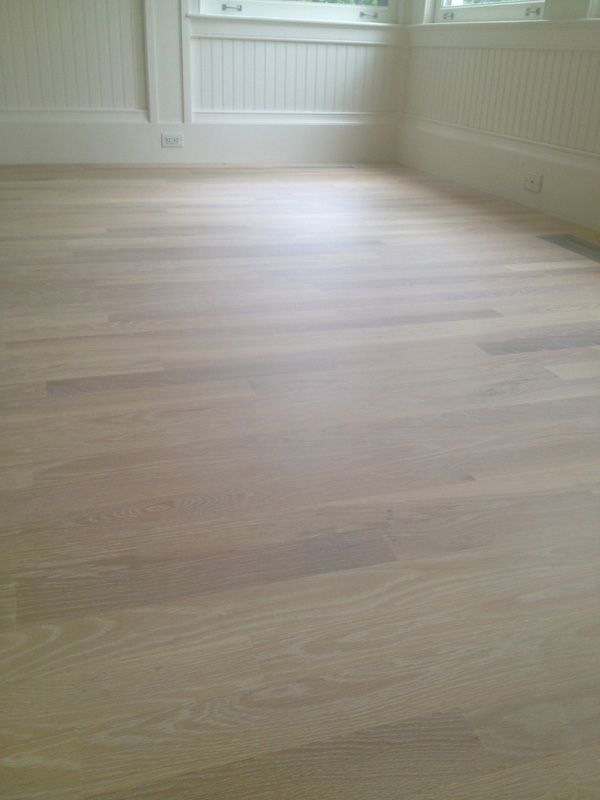 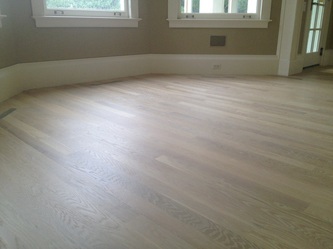 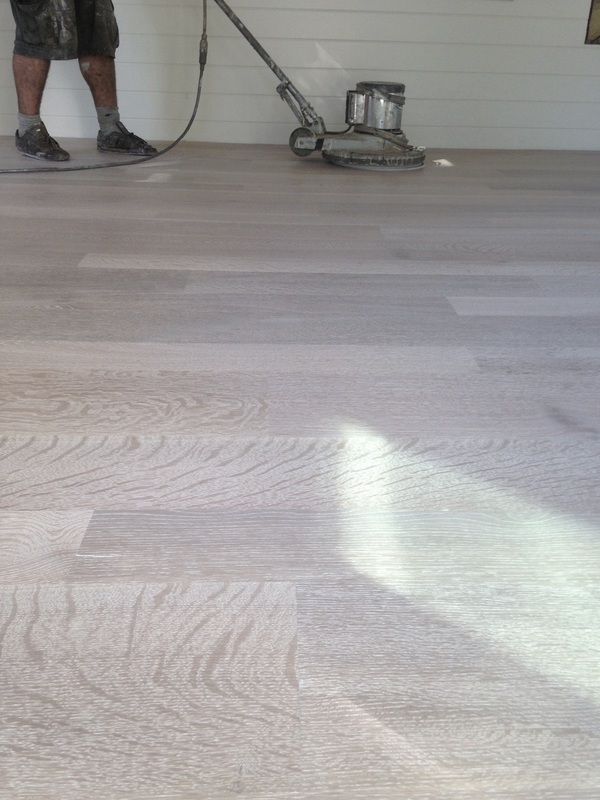 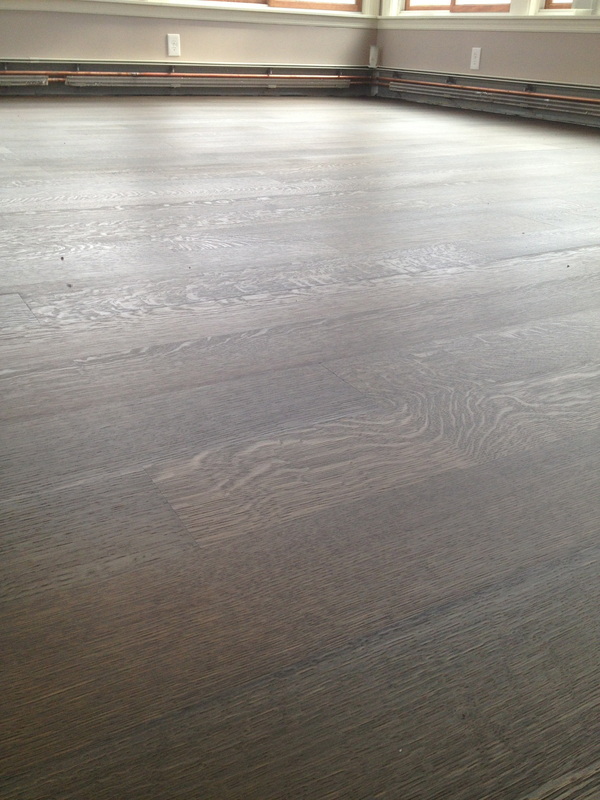 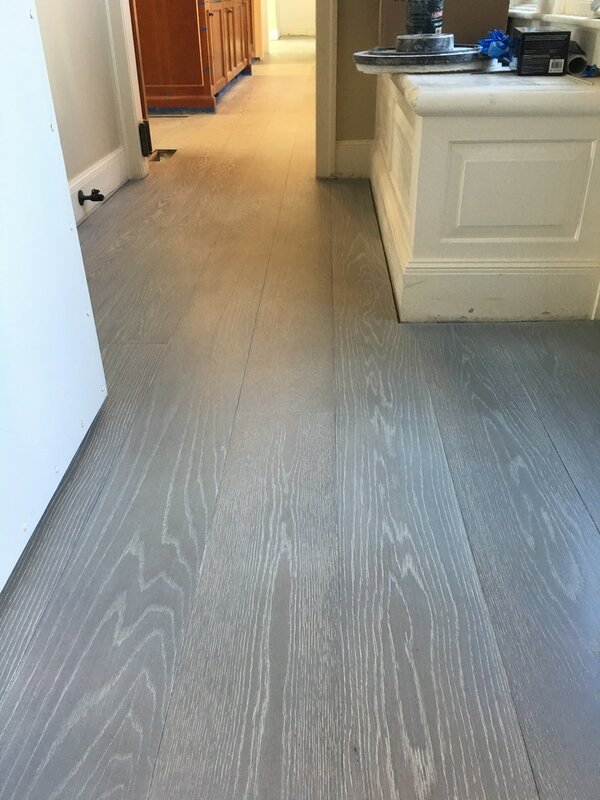 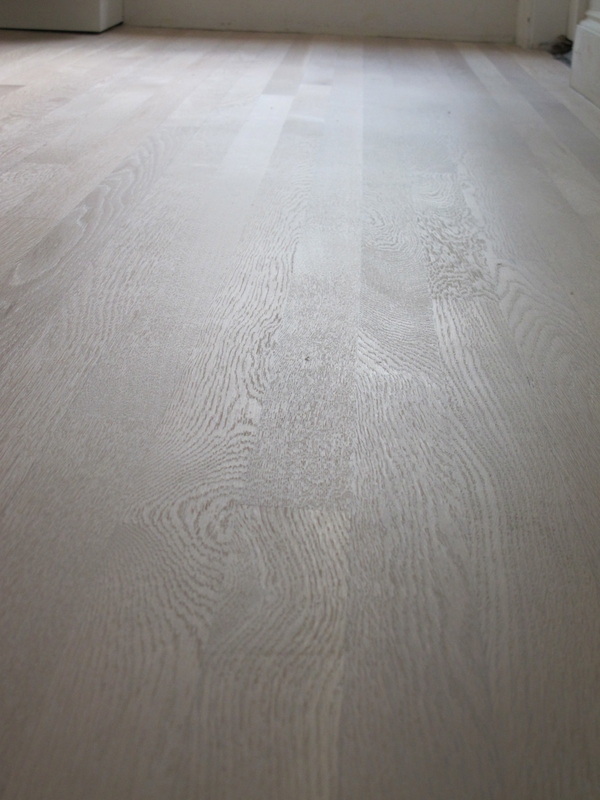 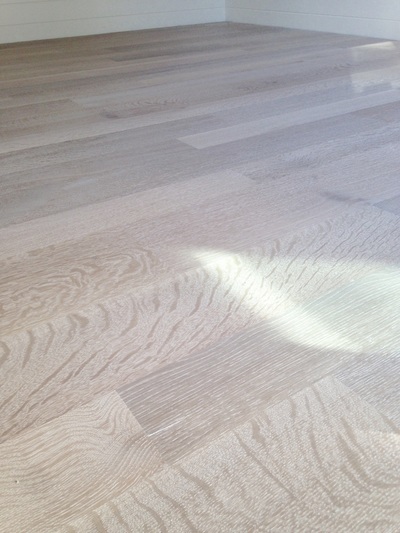 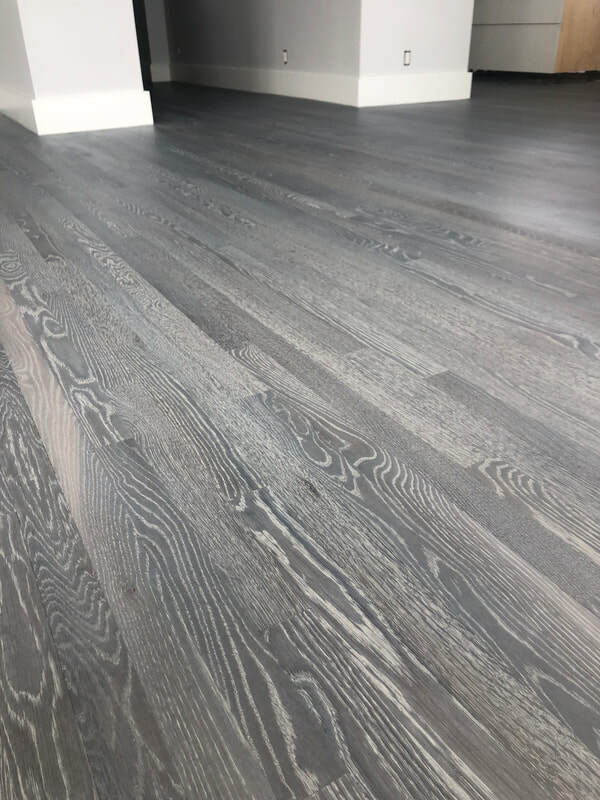 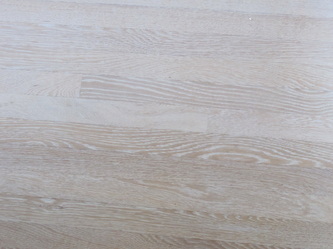 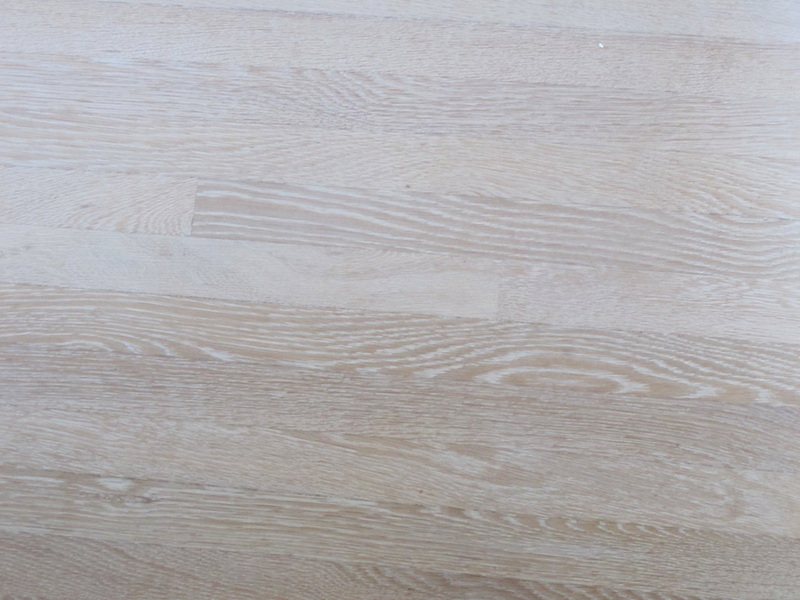 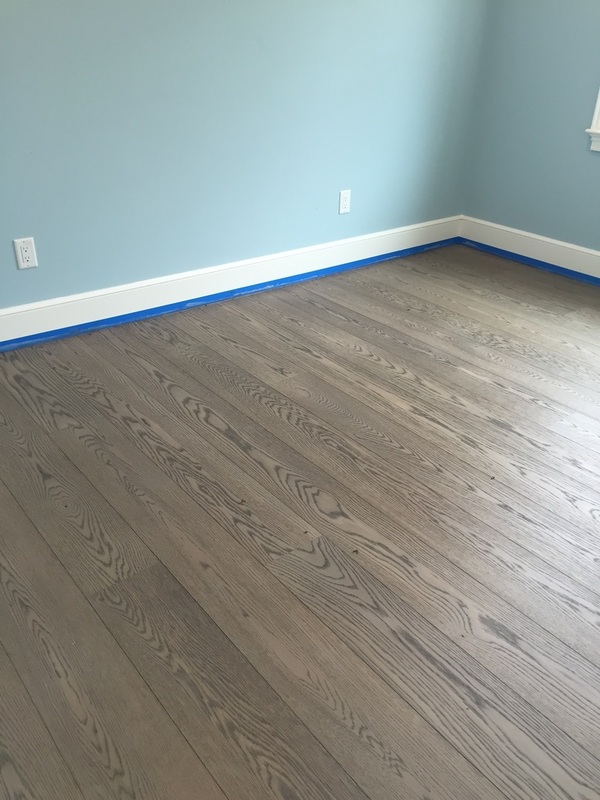 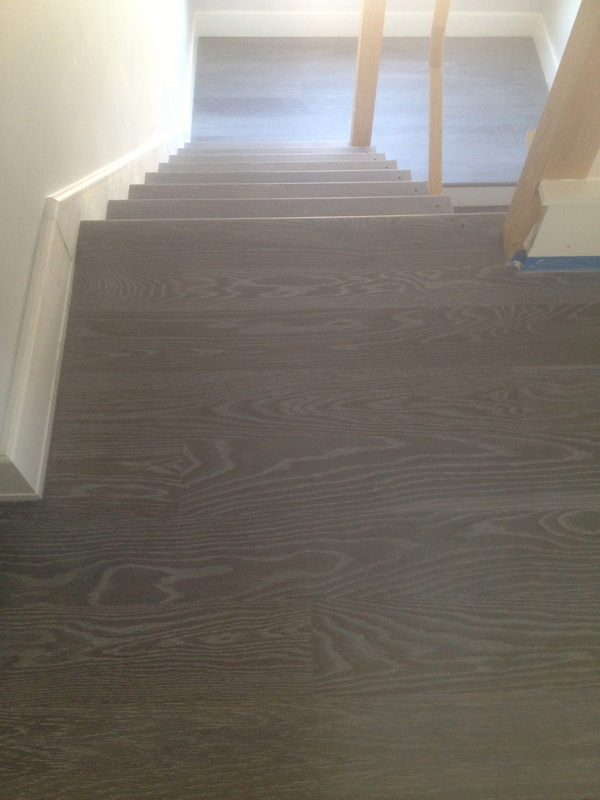 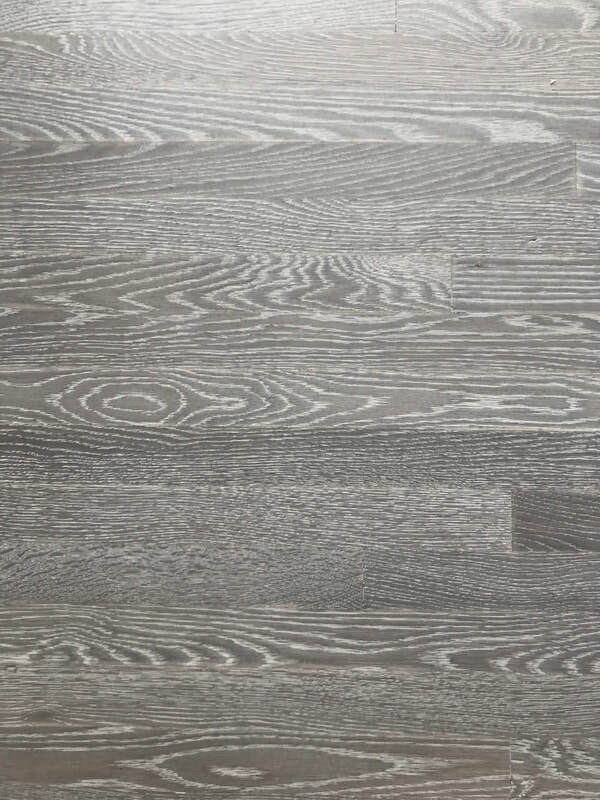 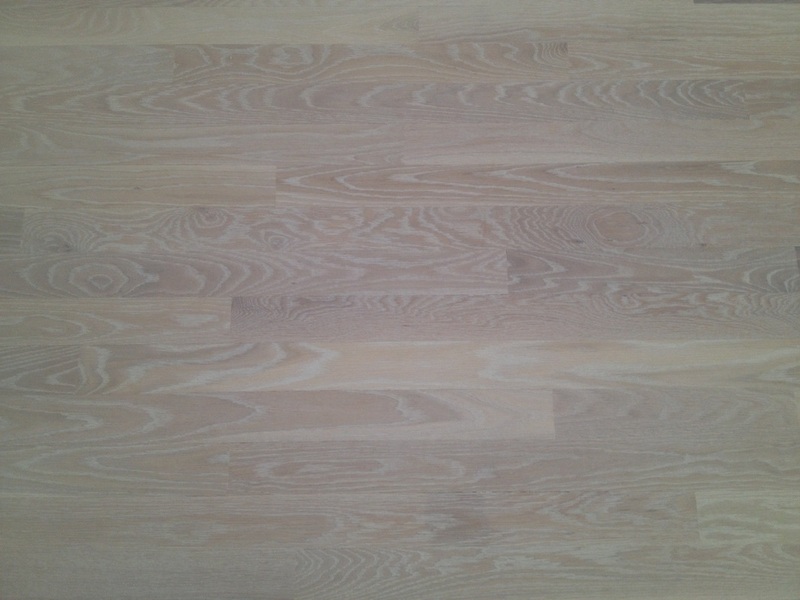 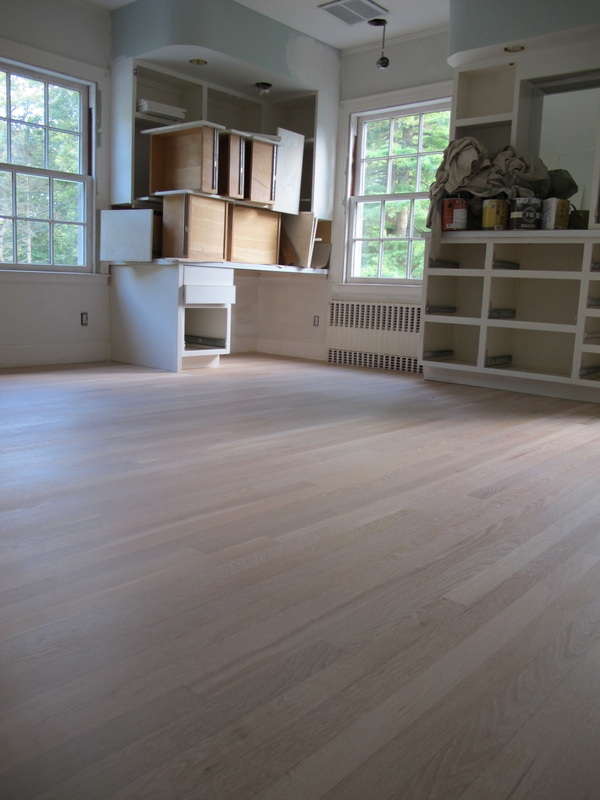 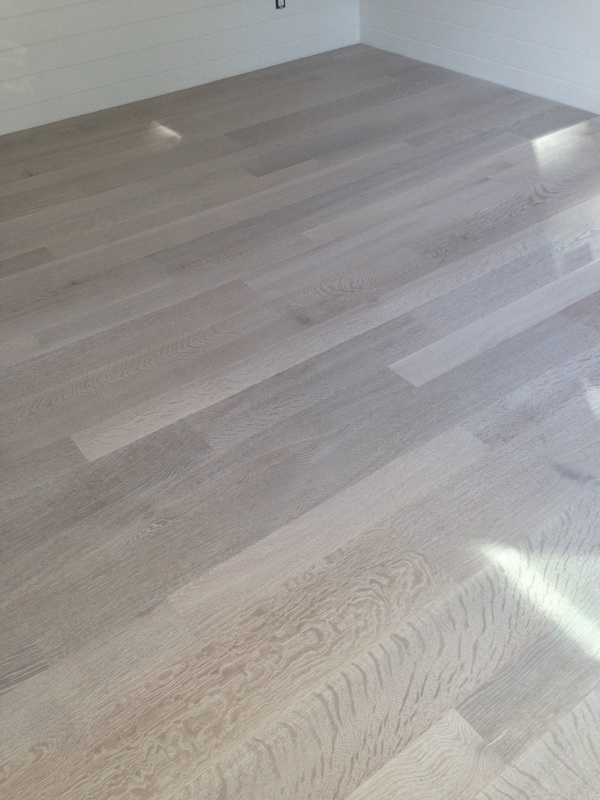 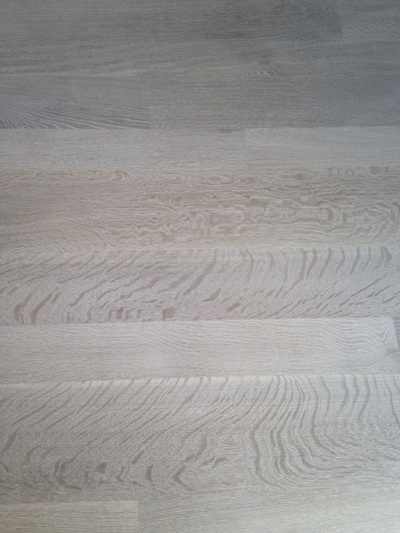 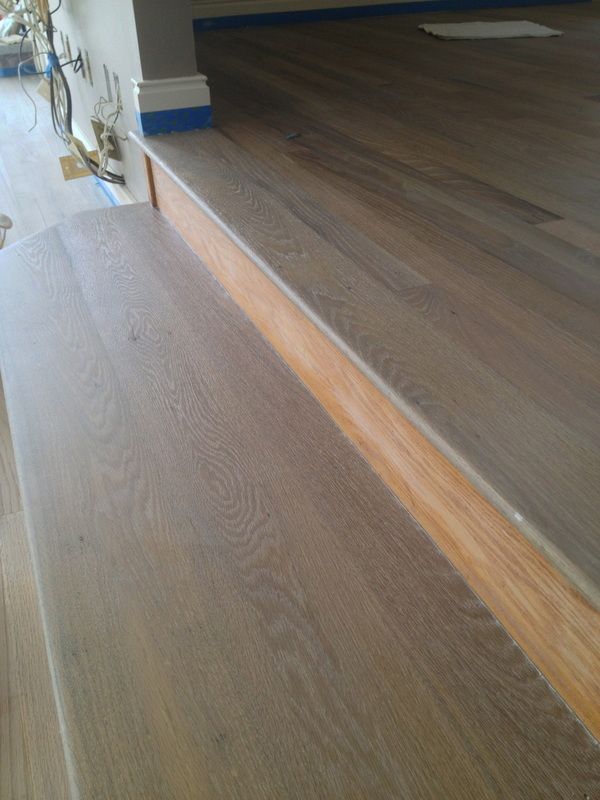 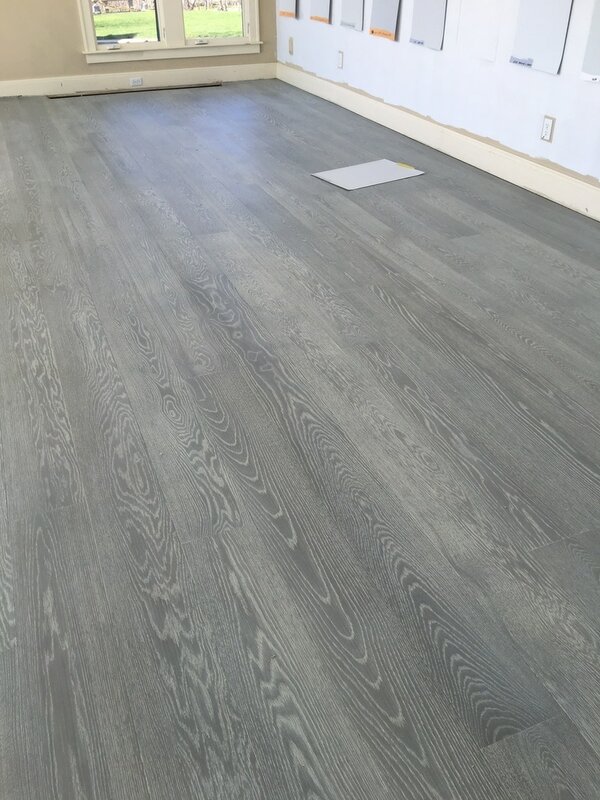 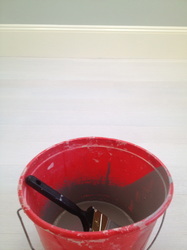 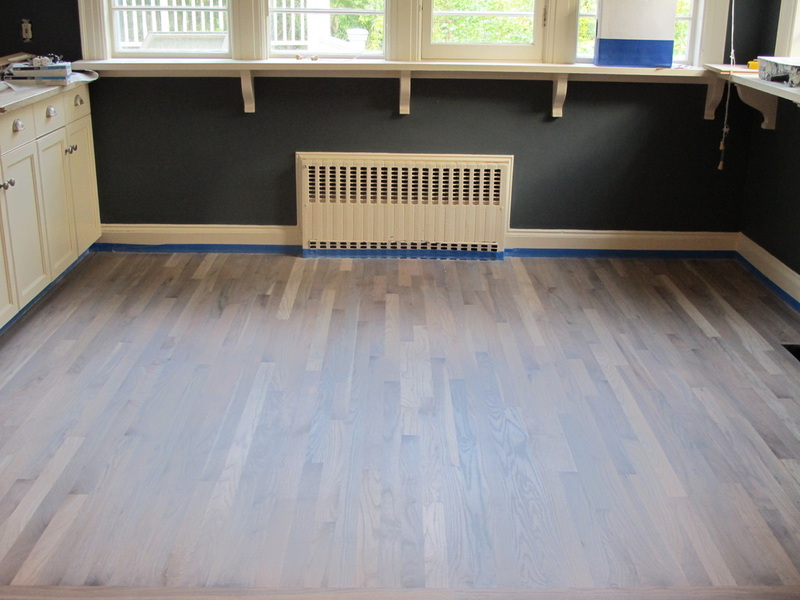 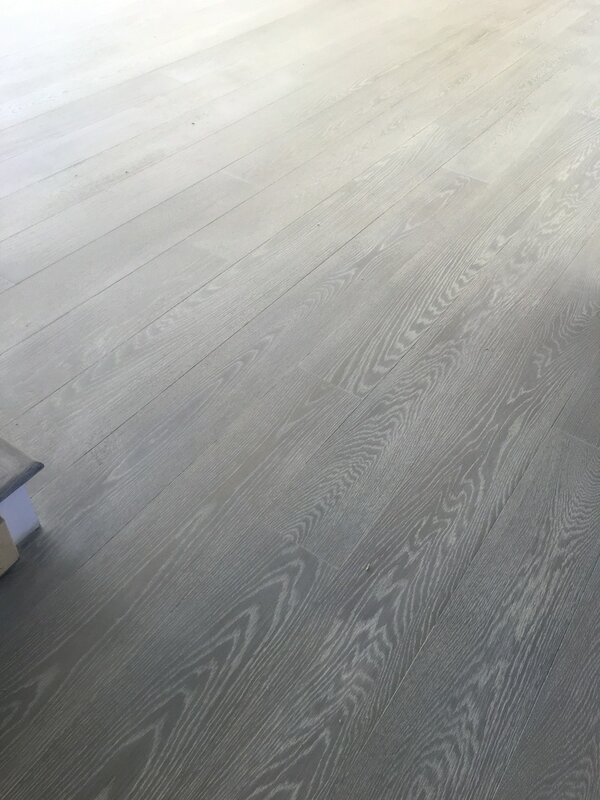 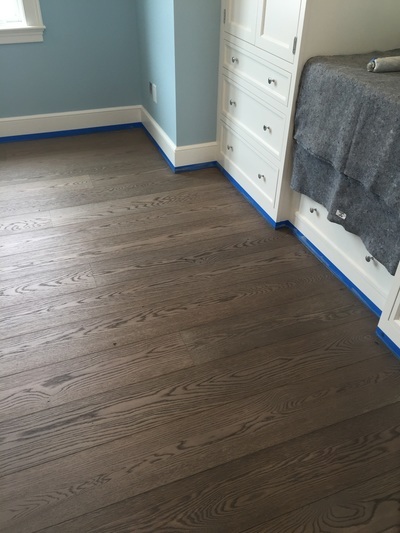 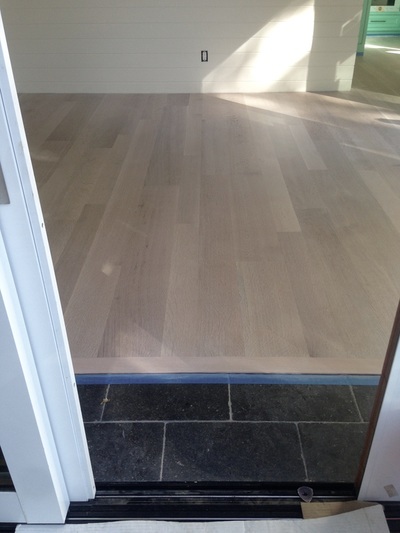 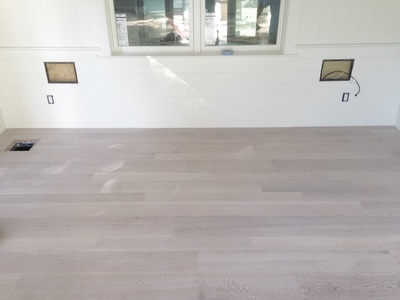 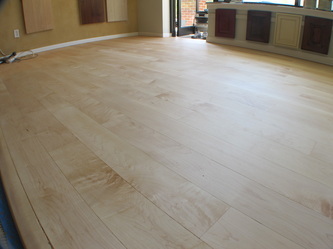 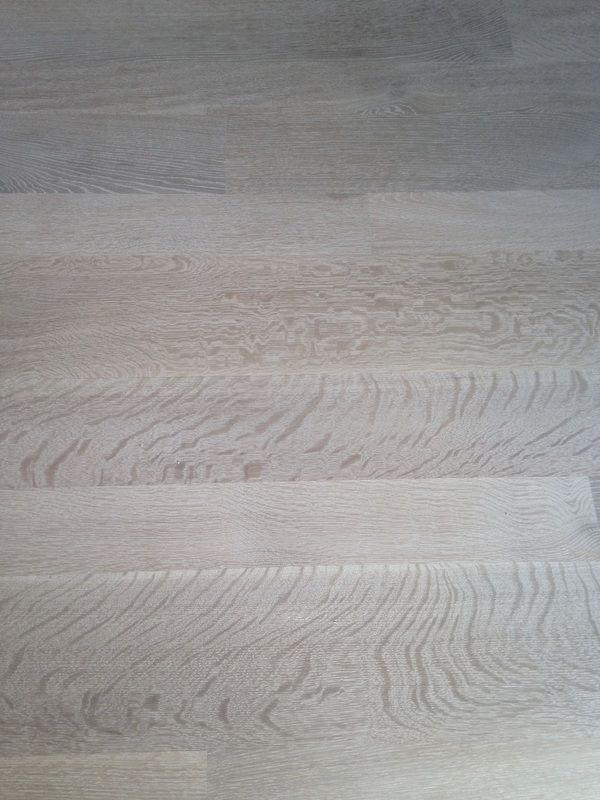 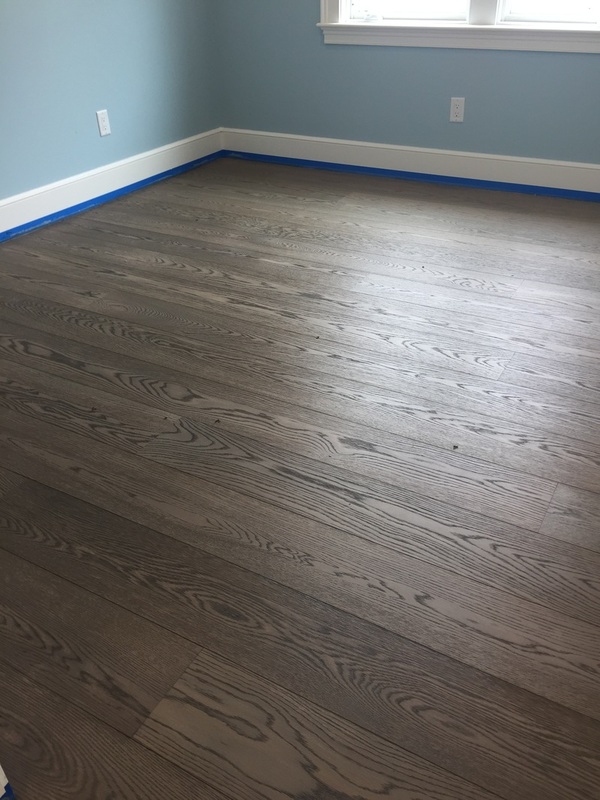 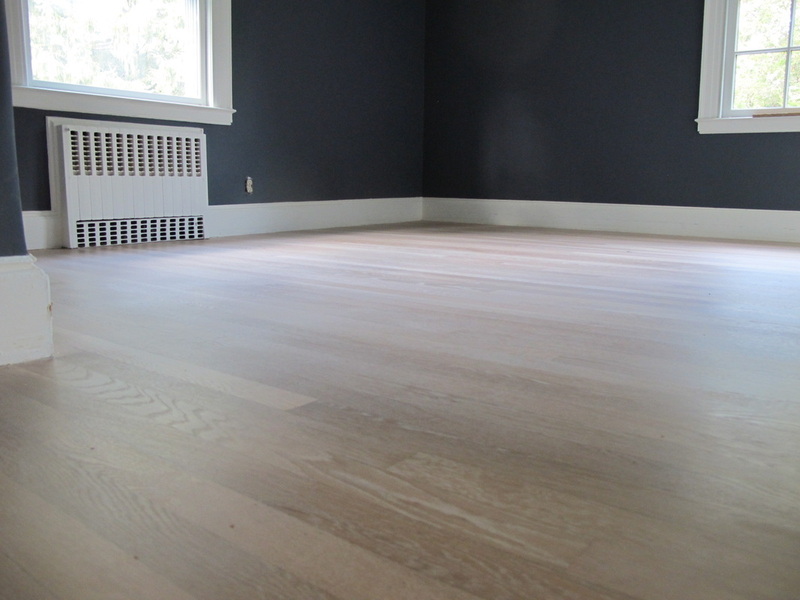 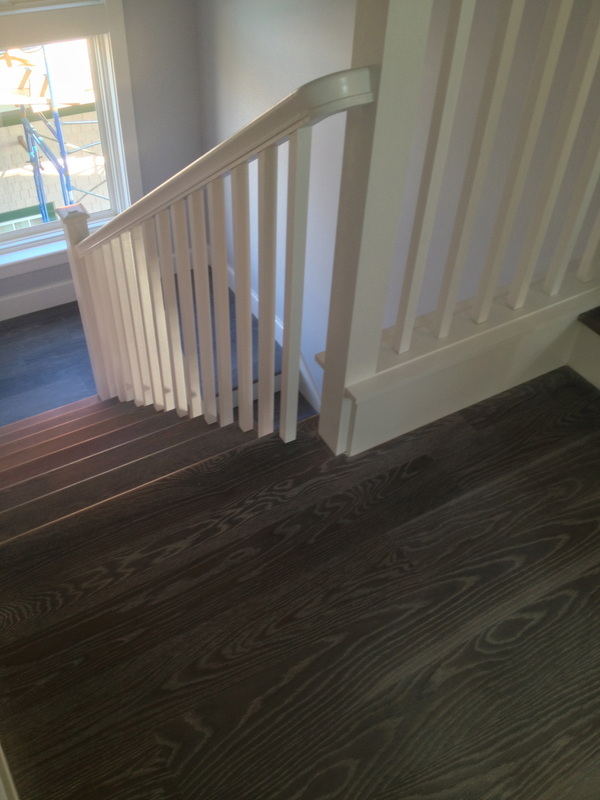 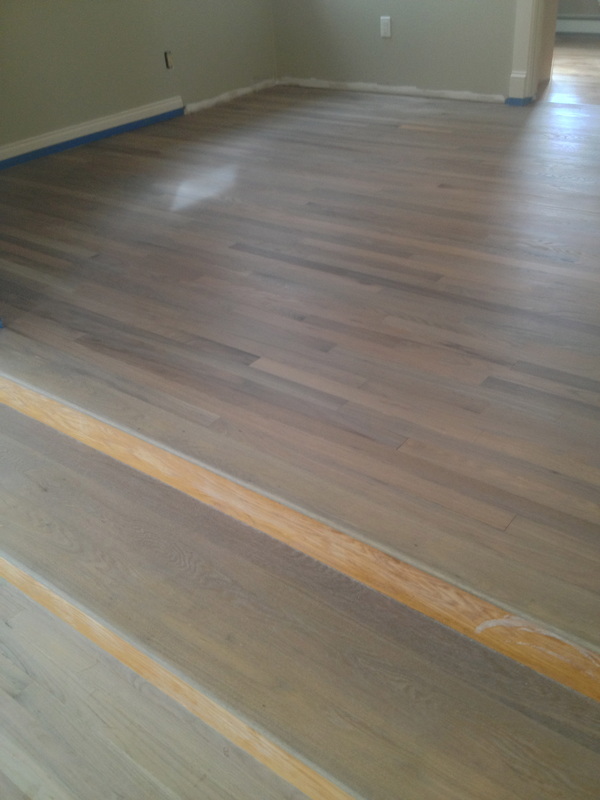 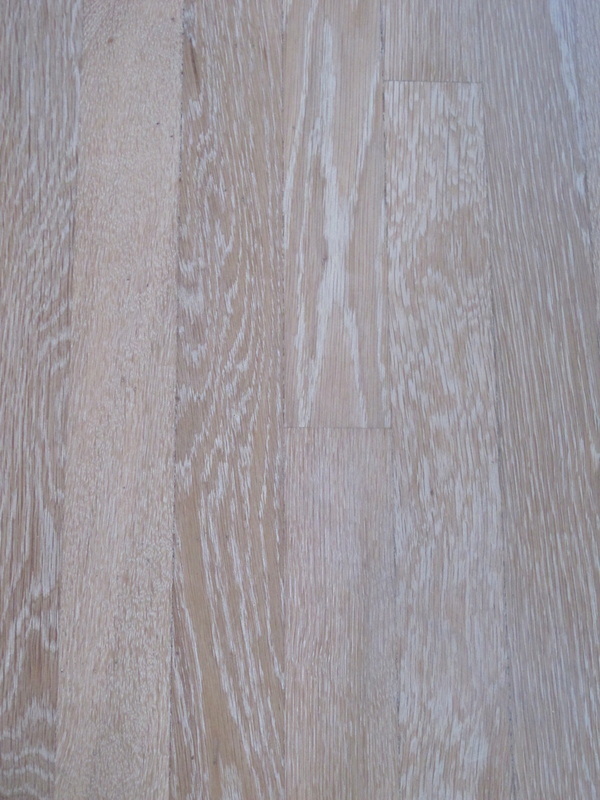 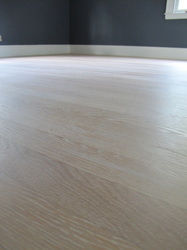 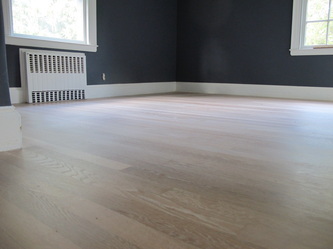 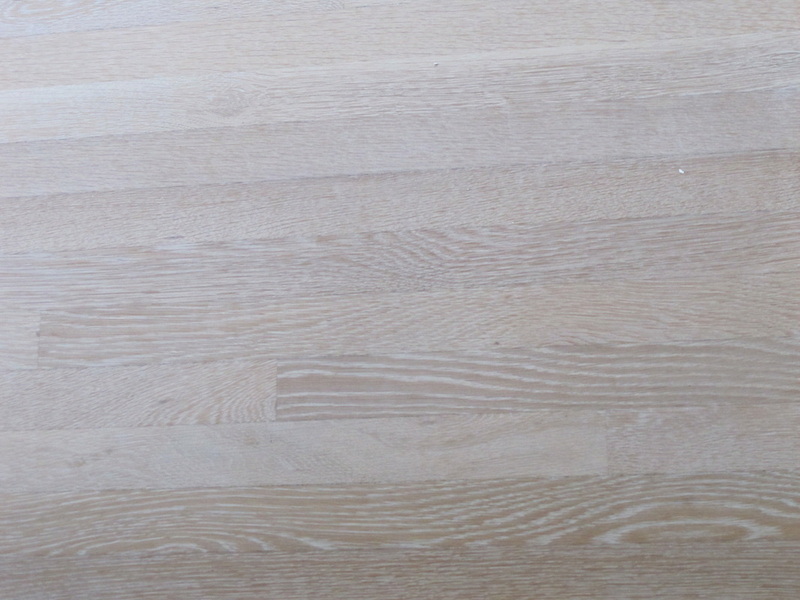 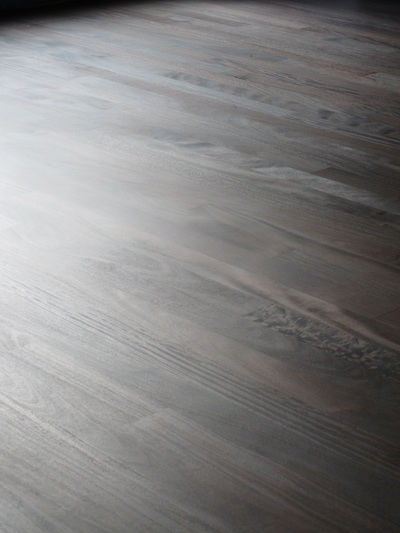 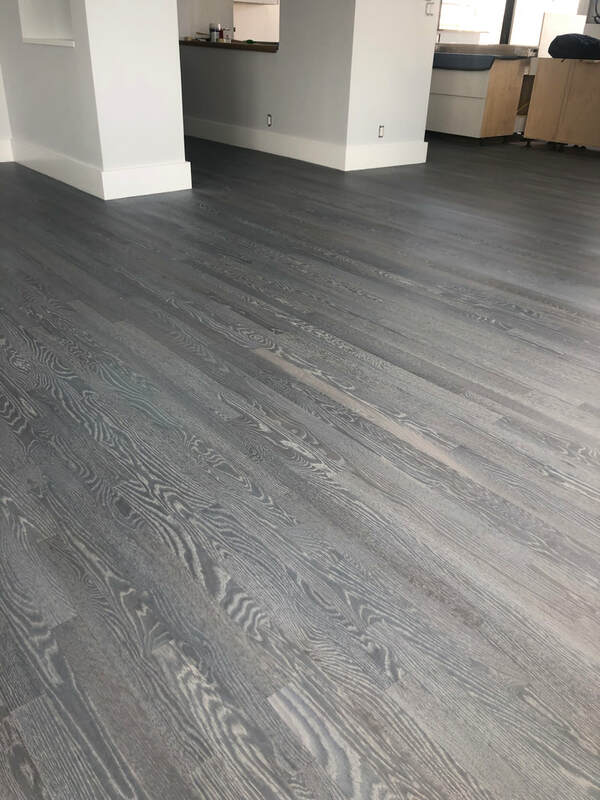 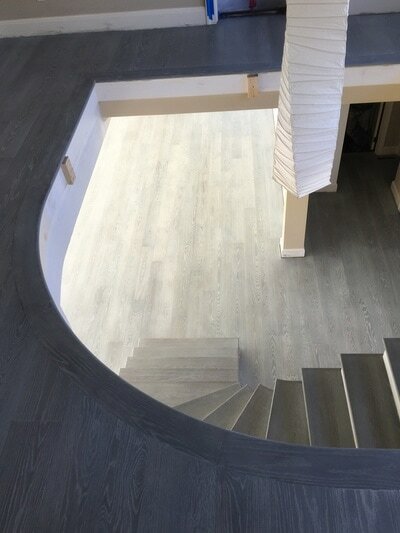 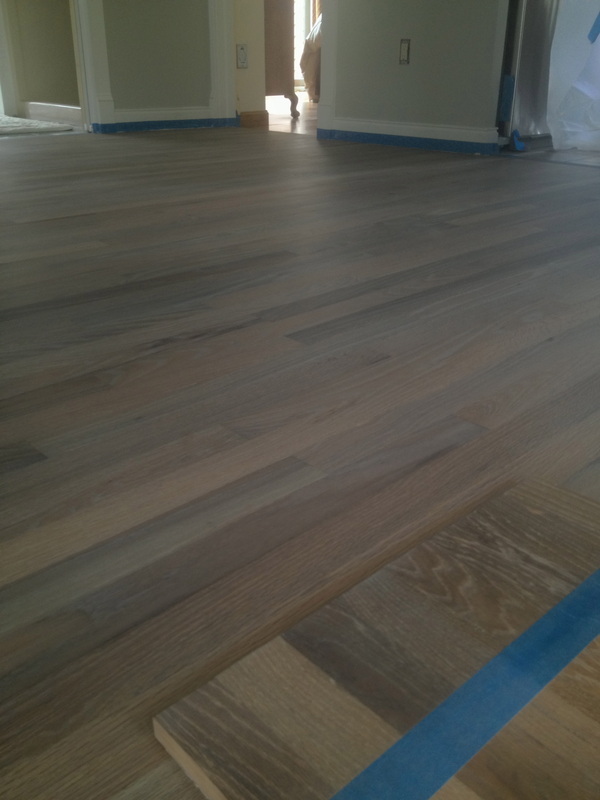 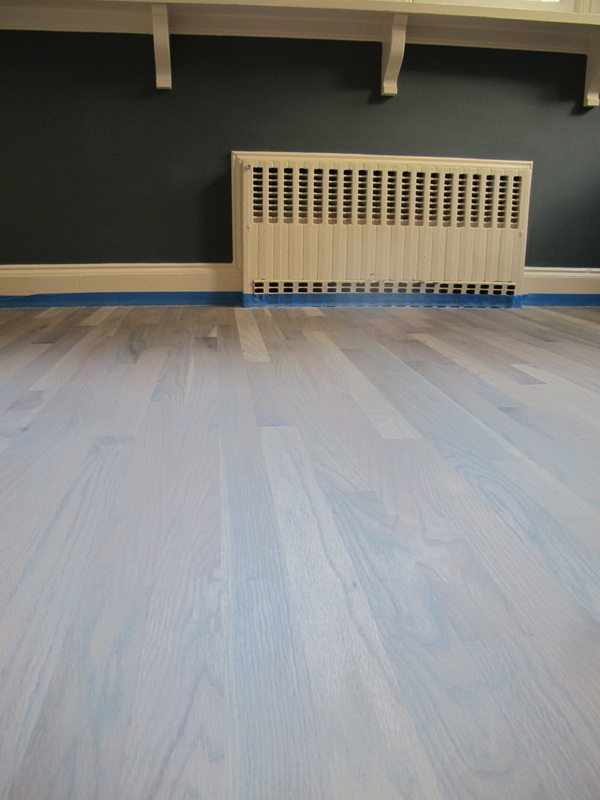 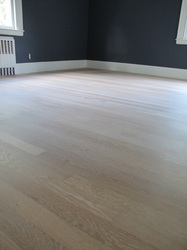 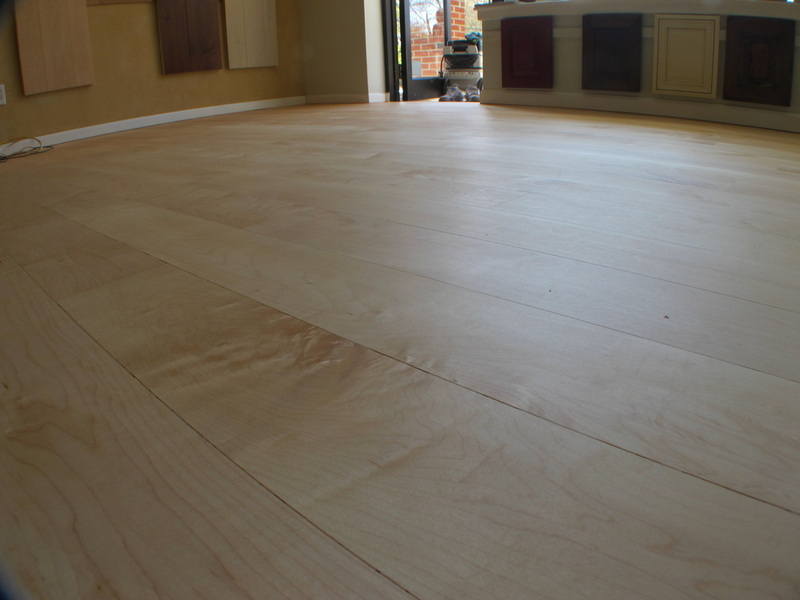 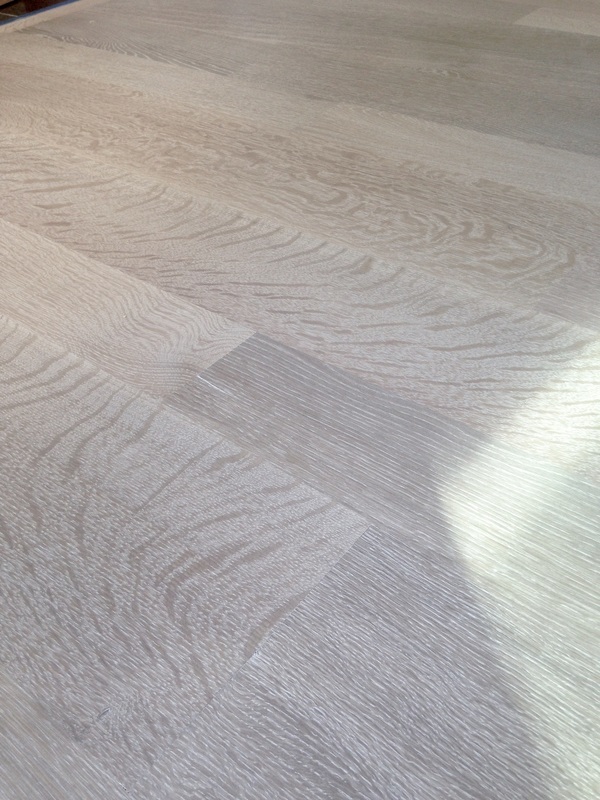 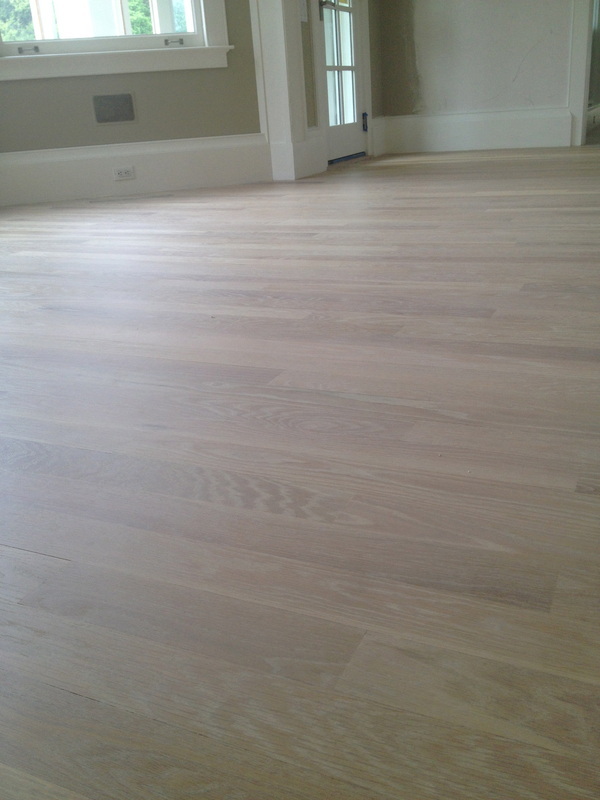 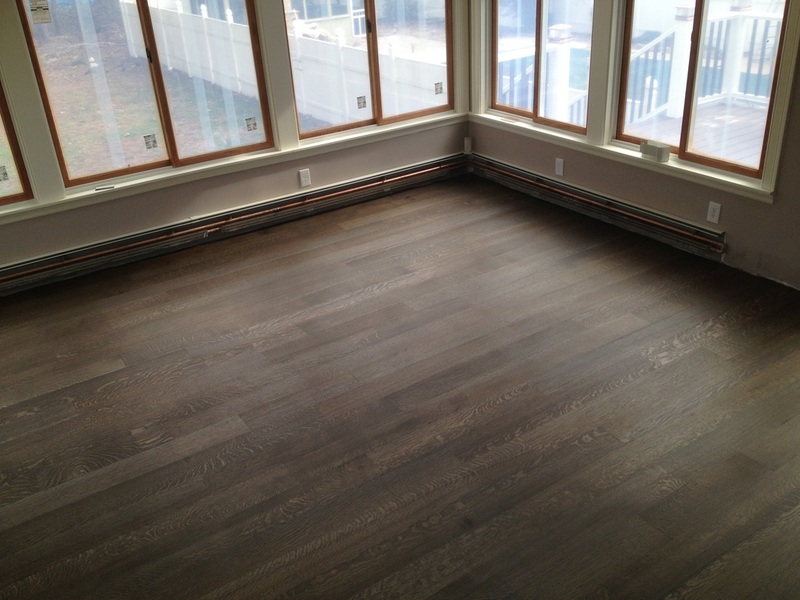 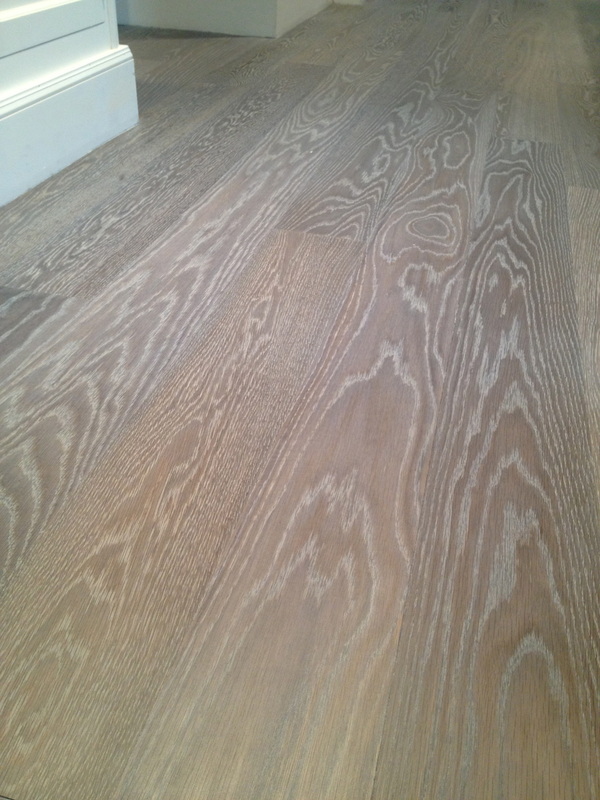 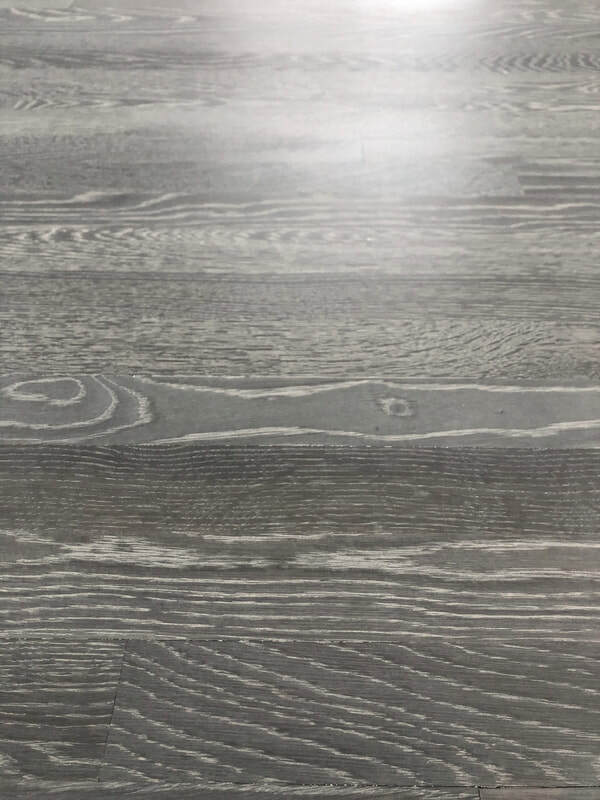 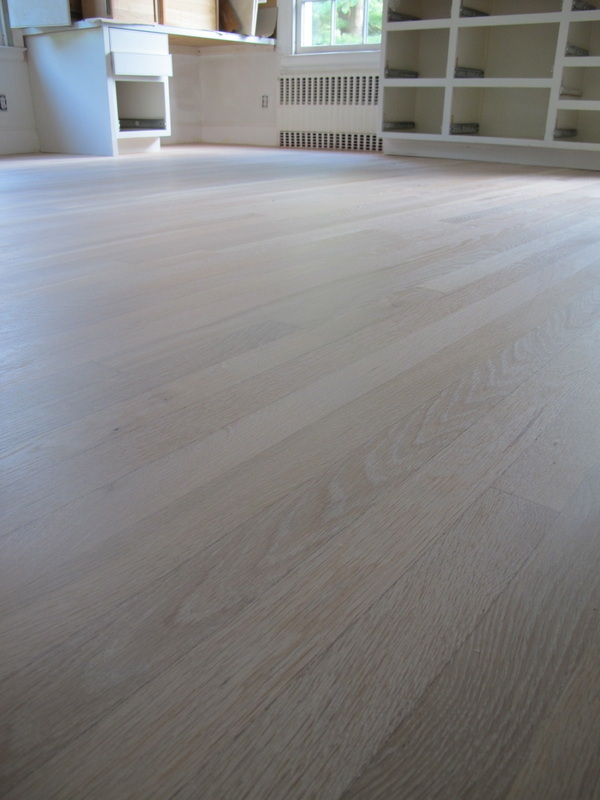 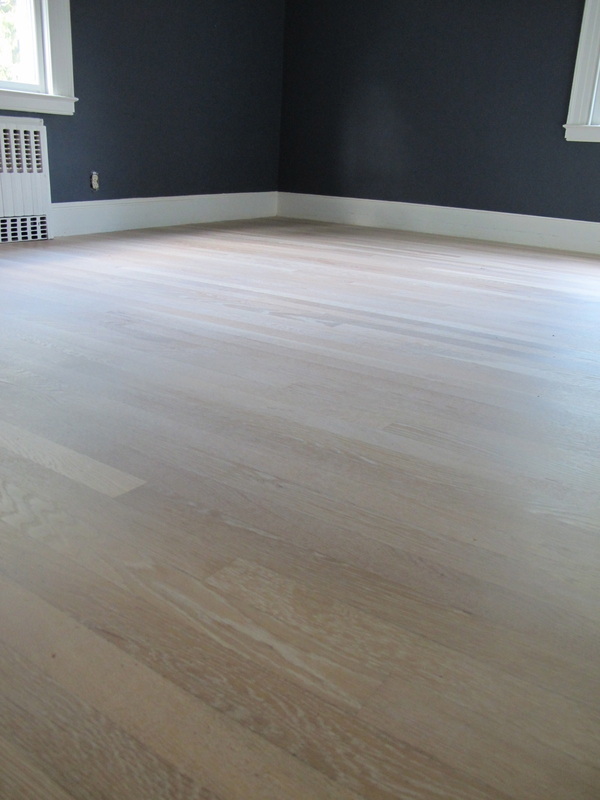 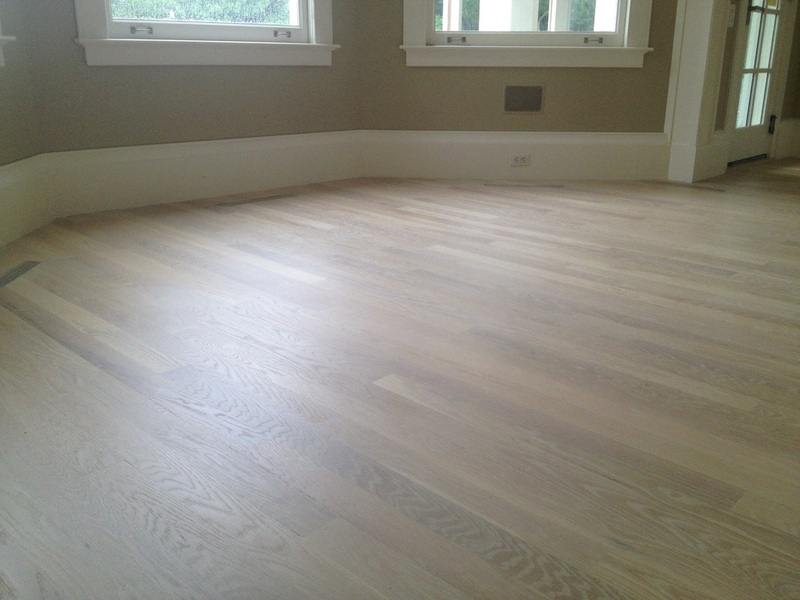 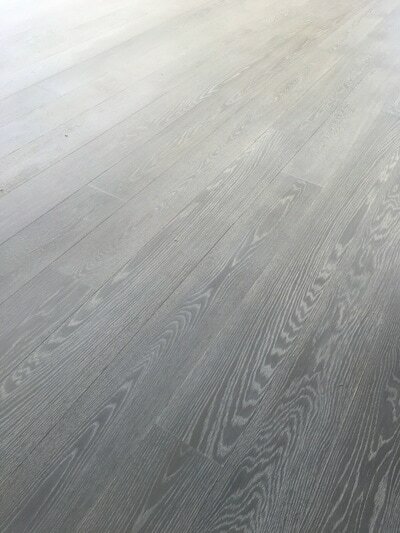 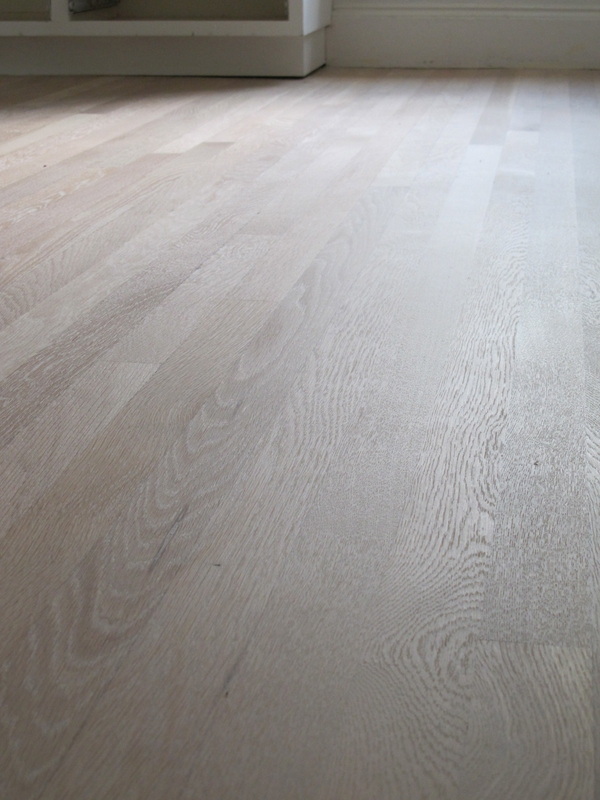 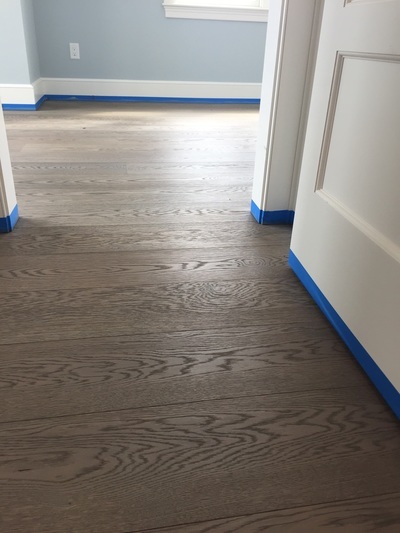 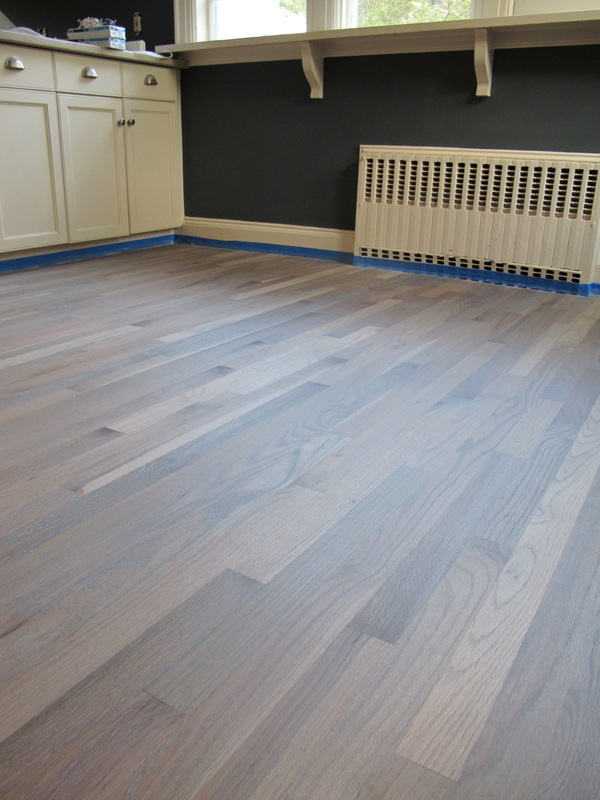 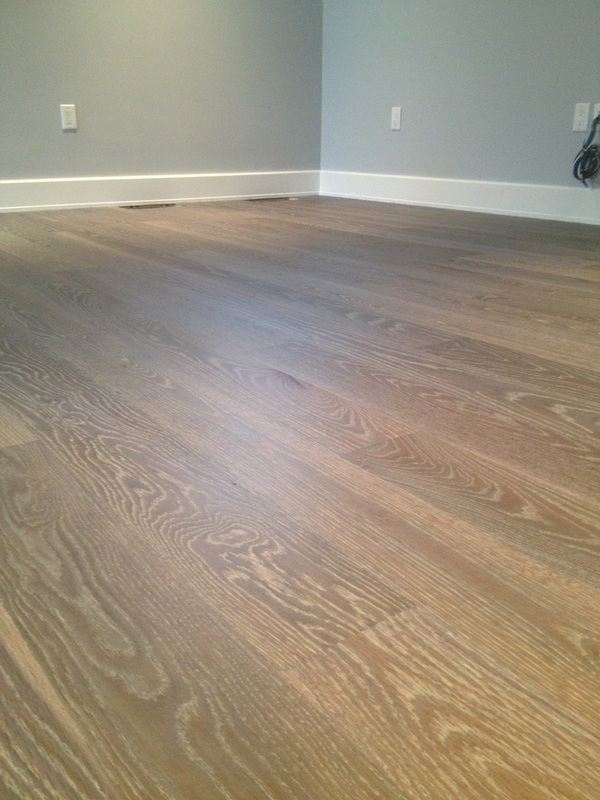 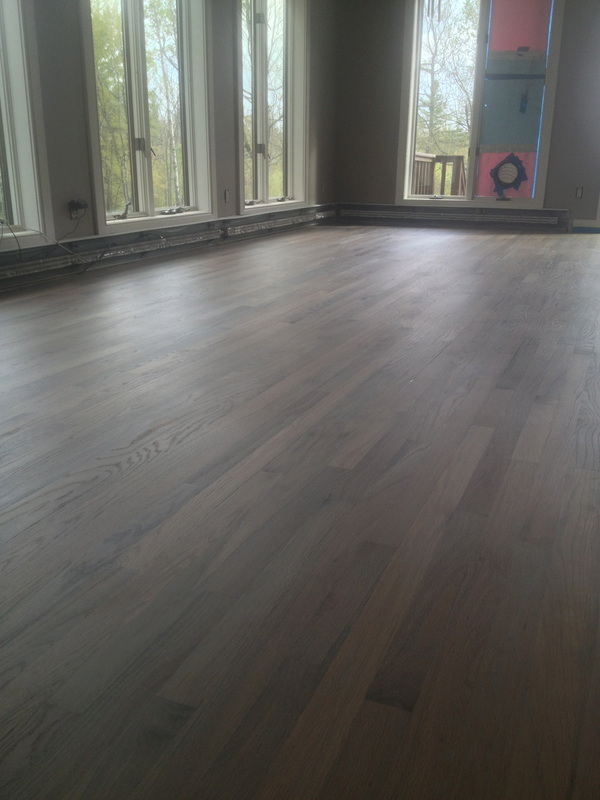 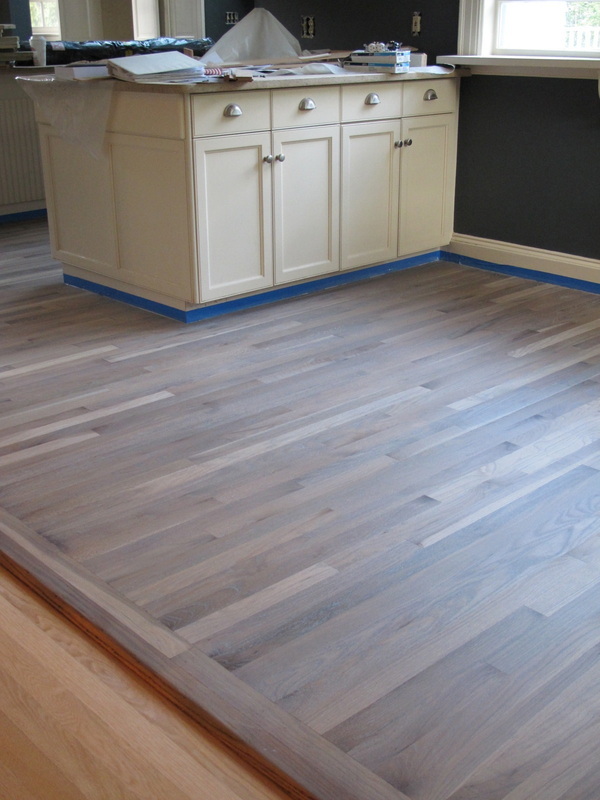 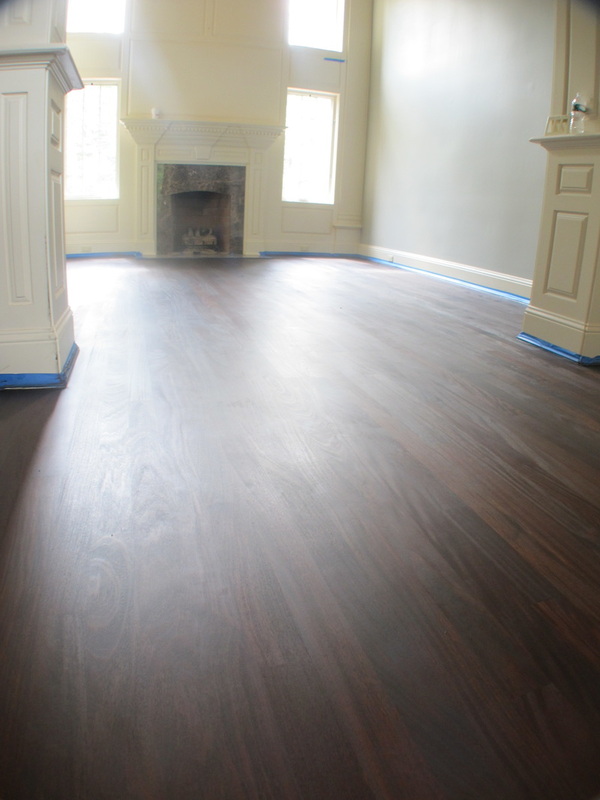 Zero Voc and virtually no smell as well as the ability to fix scratches without sanding the entire floor make this a finish at the top of our list! Don't hesitate, be the first in your neighborhood to have the eco-friendly, finish of the future! 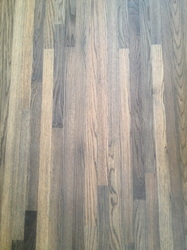 It has taken over the industry in Europe and will gain popularity in the U.S. 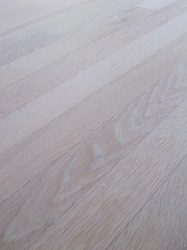 Check out Flickr.com for more Rubio samples. 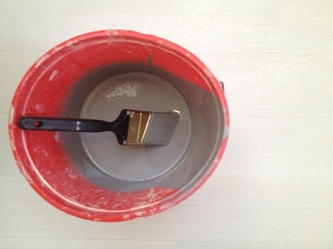 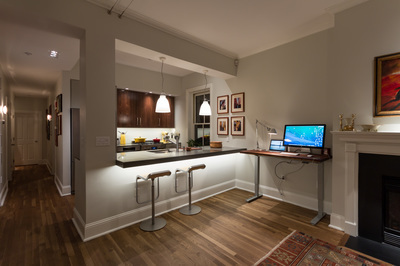 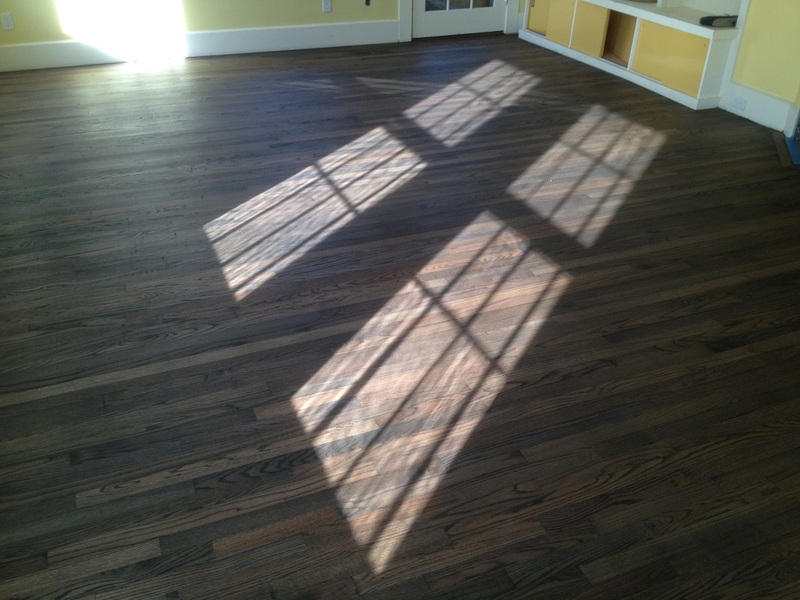 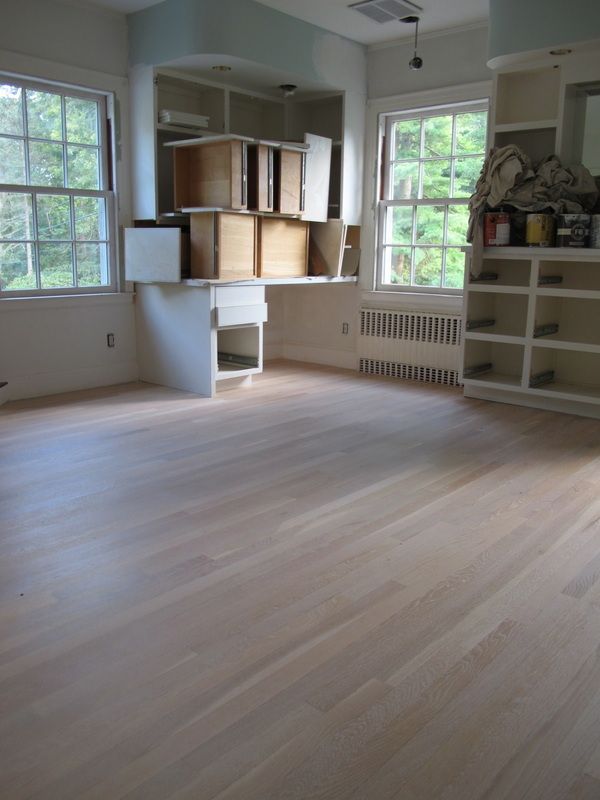 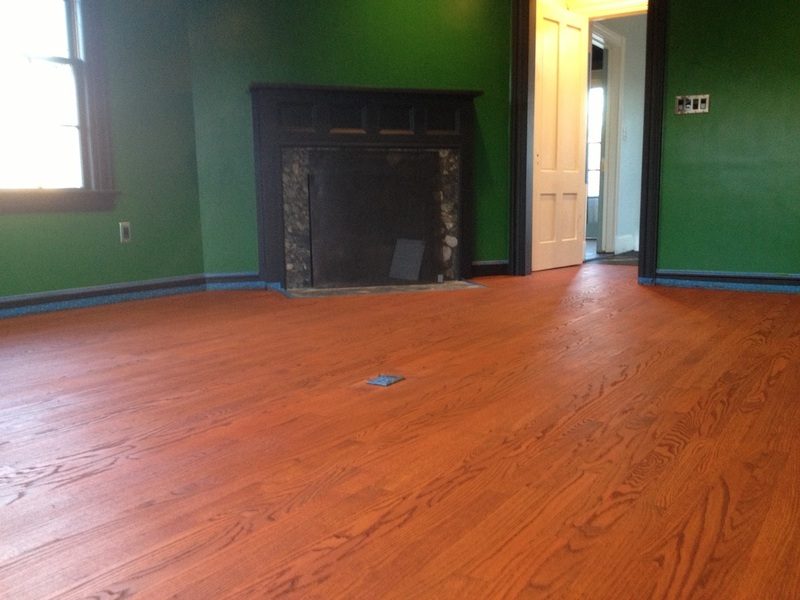 It is an exciting time to be a floor refinisher! 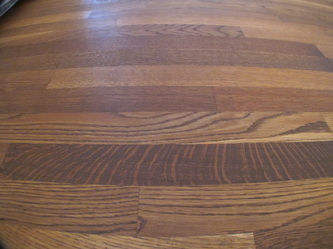 There are so many different rubbing oils and waxes available to the consumer these days. 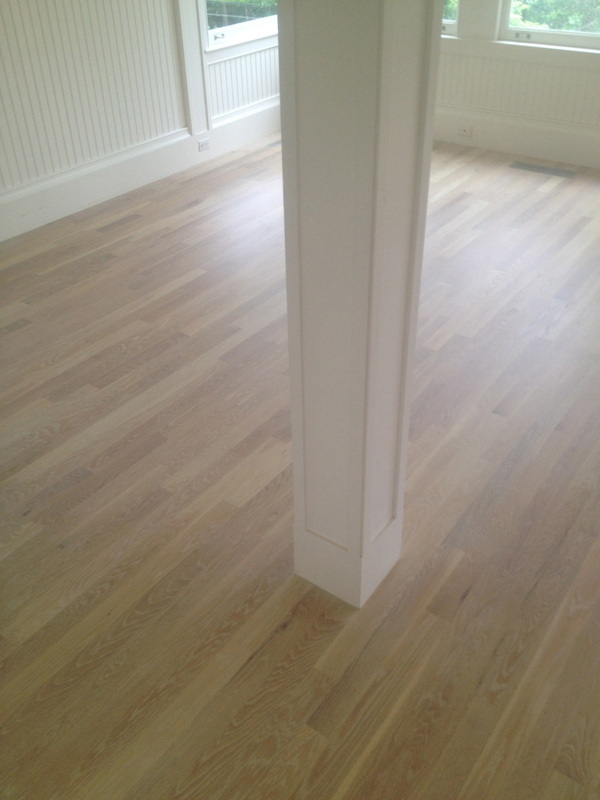 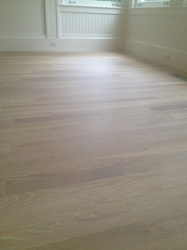 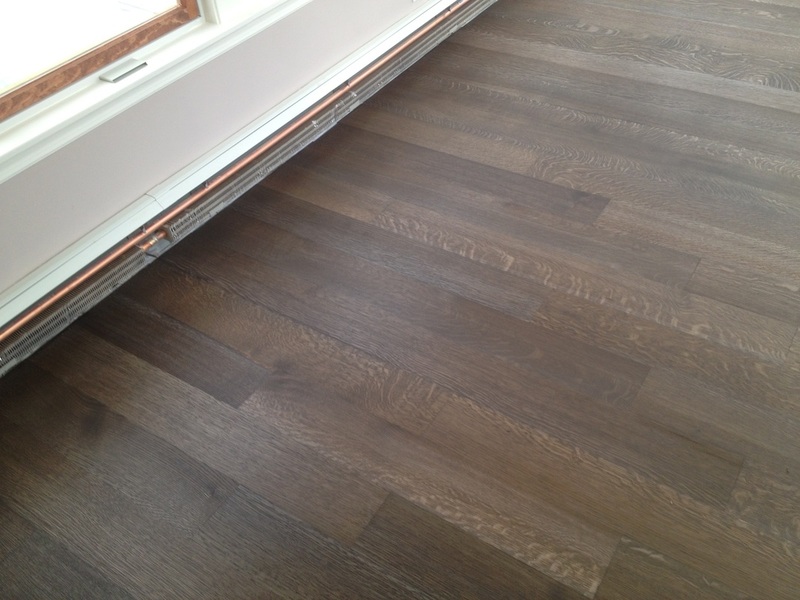 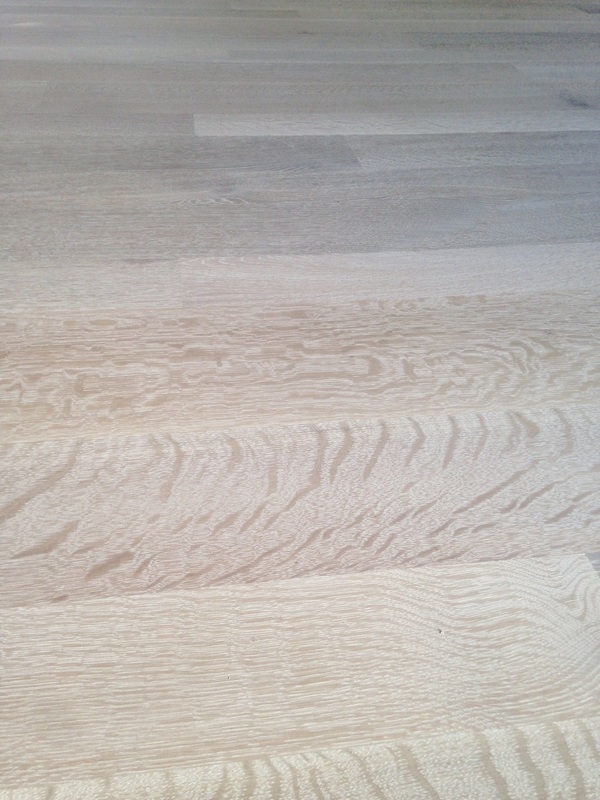 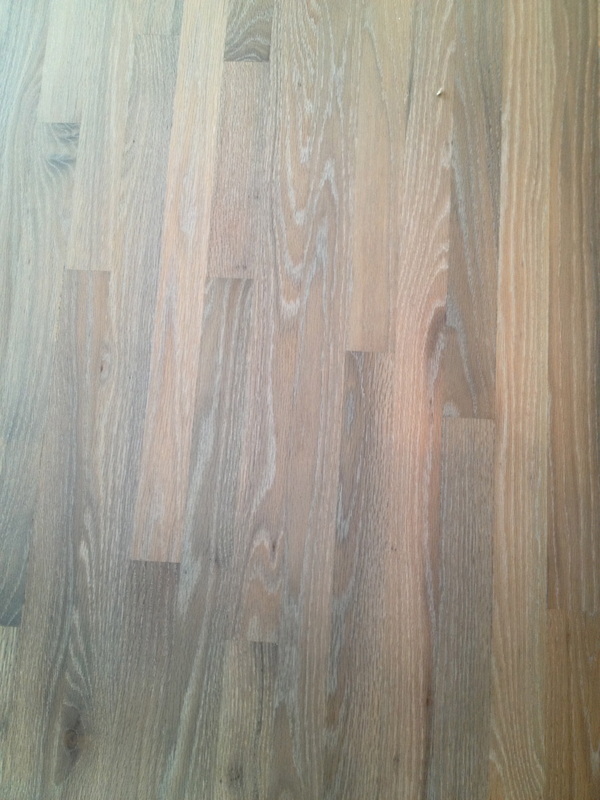 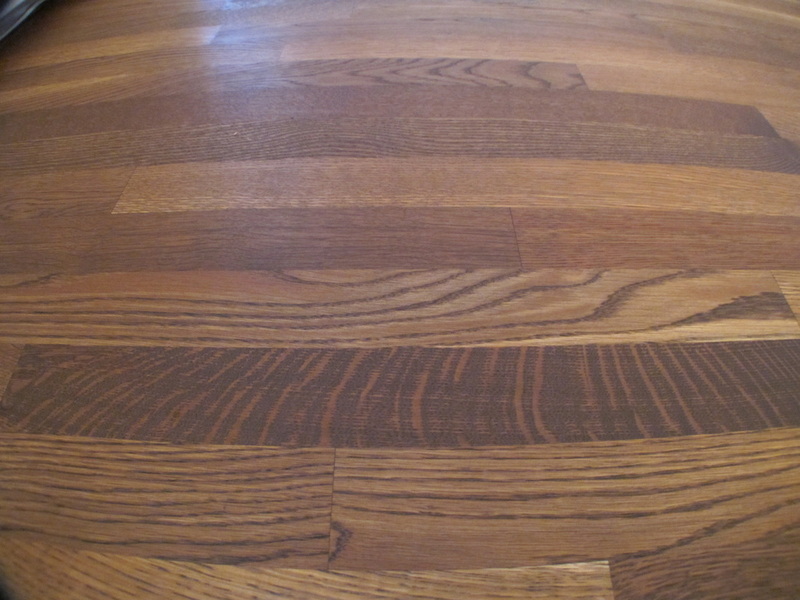 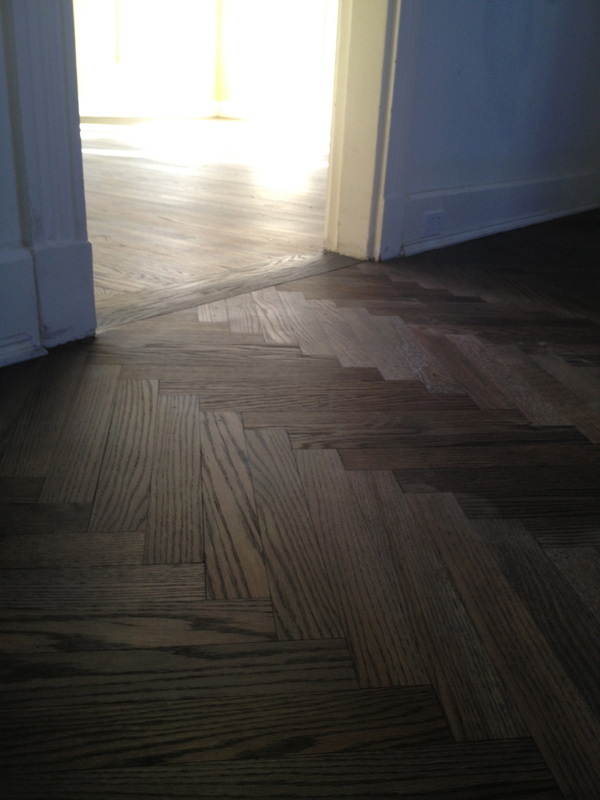 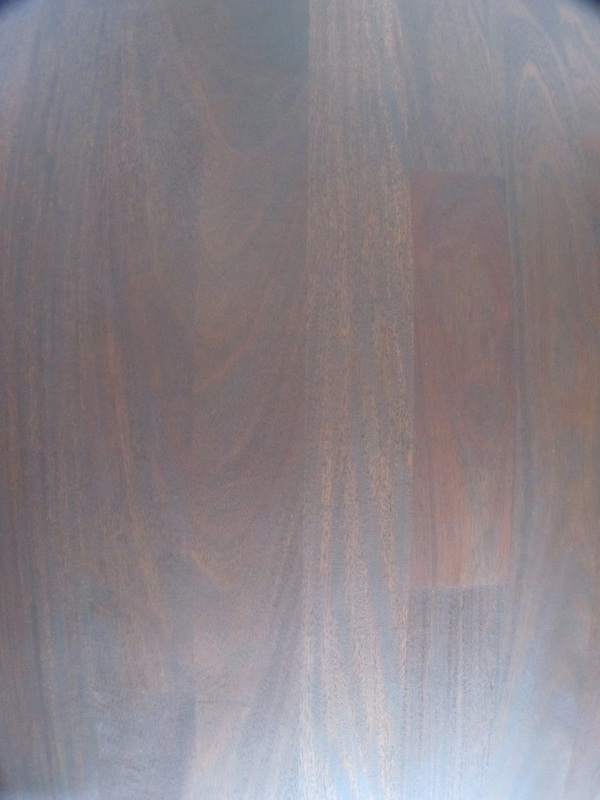 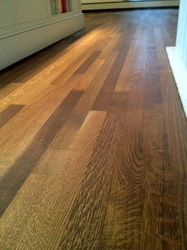 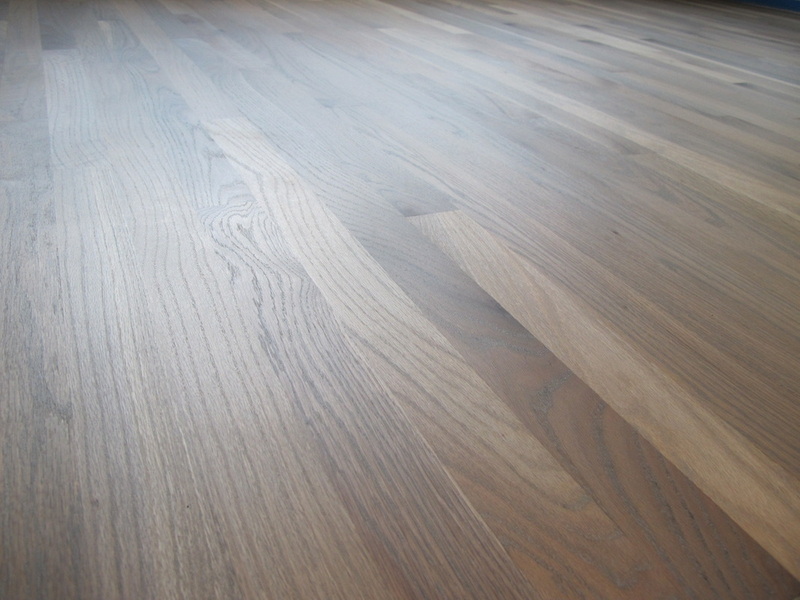 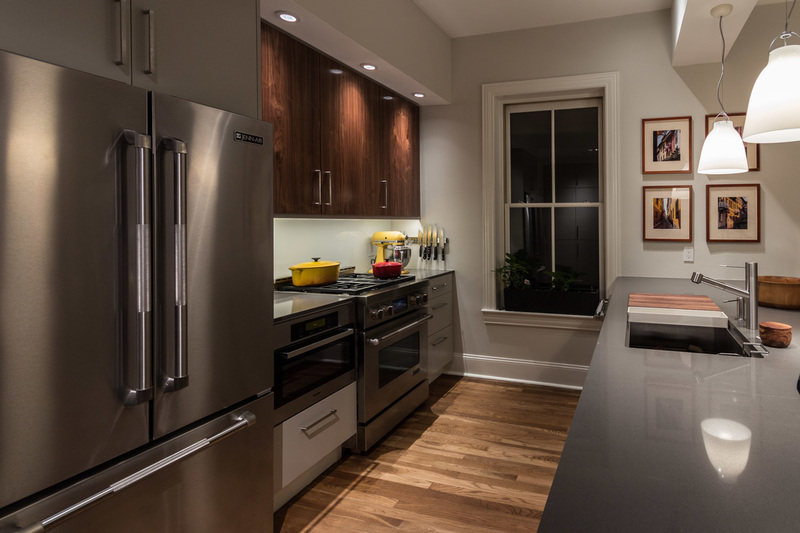 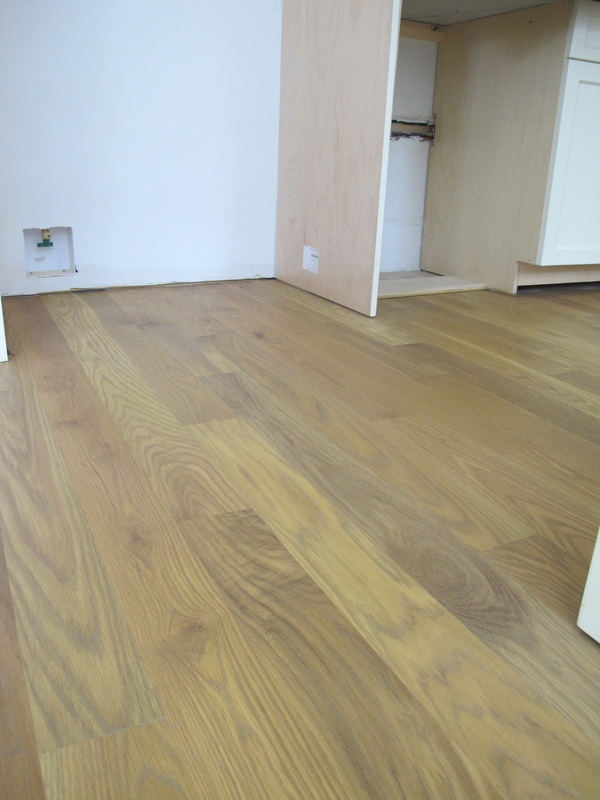 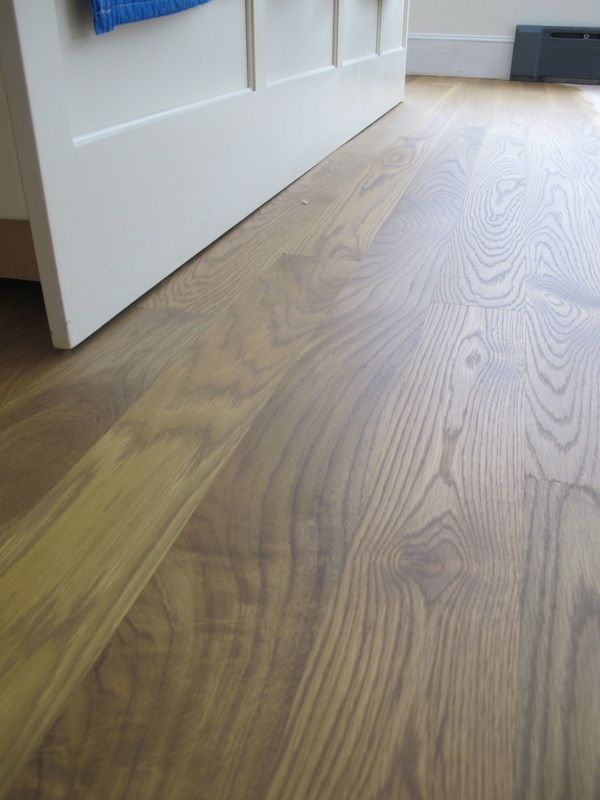 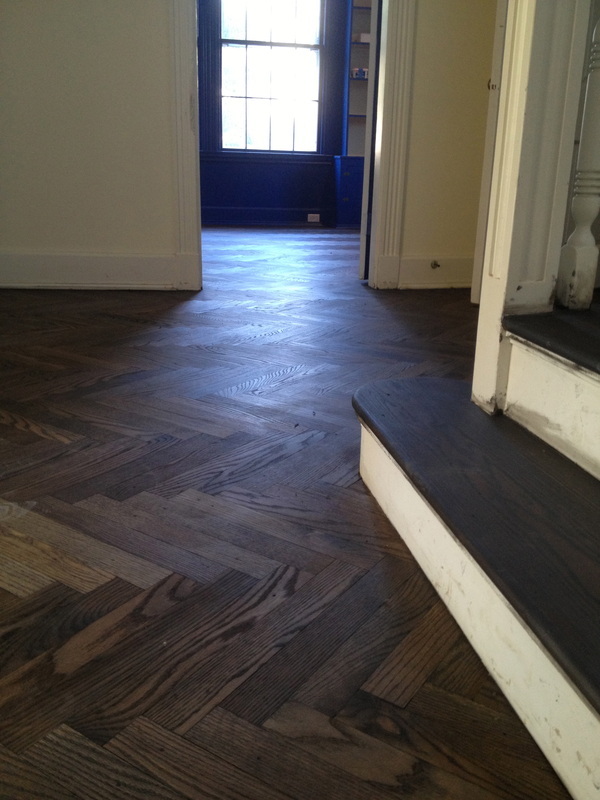 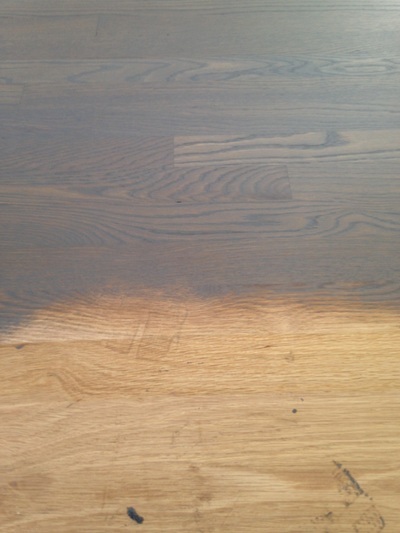 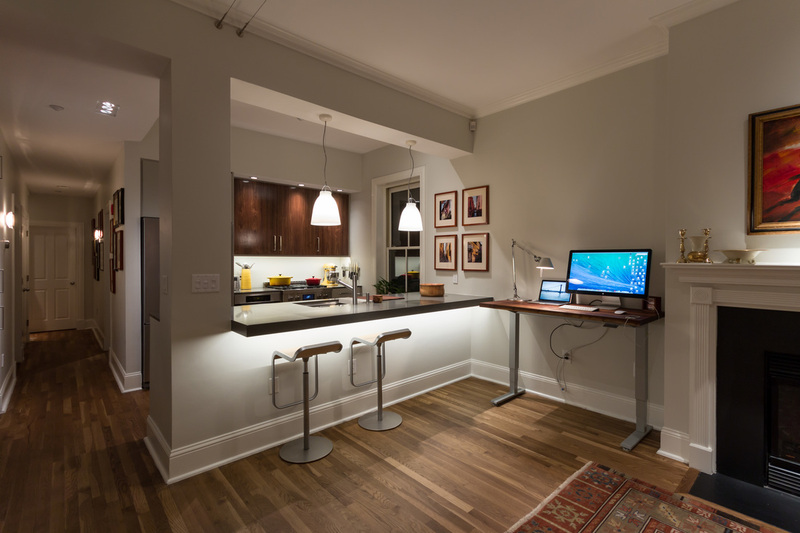 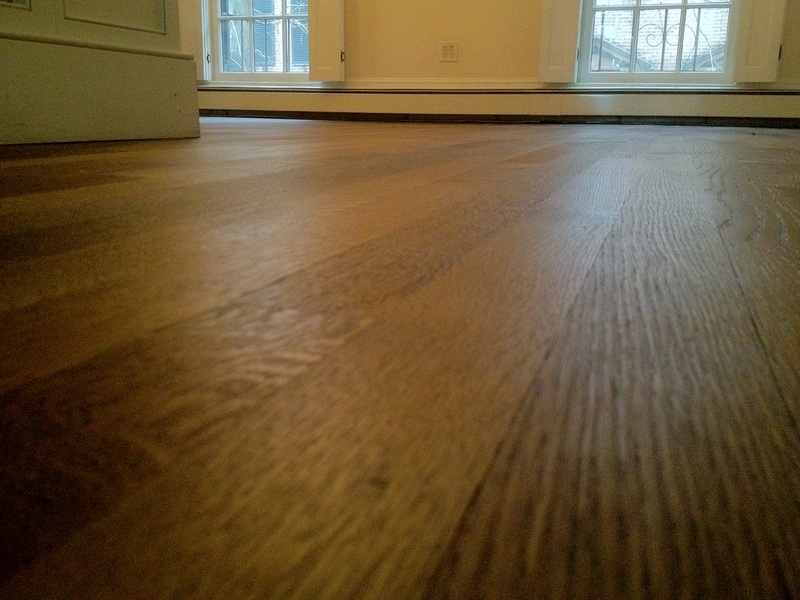 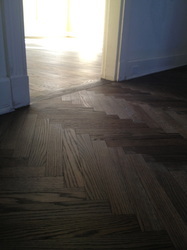 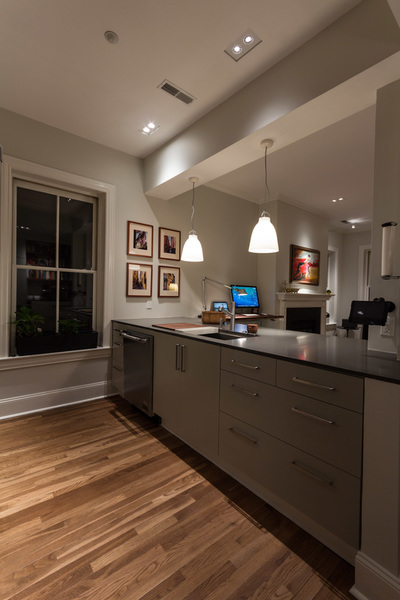 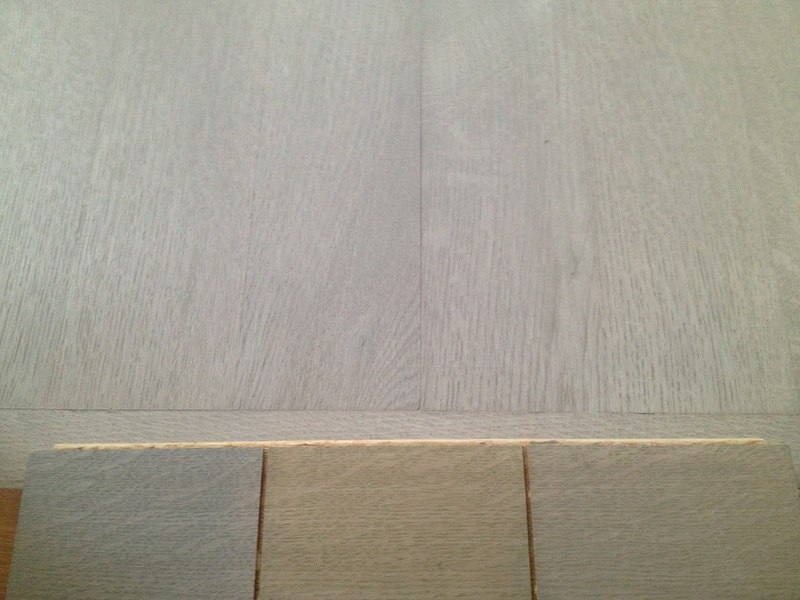 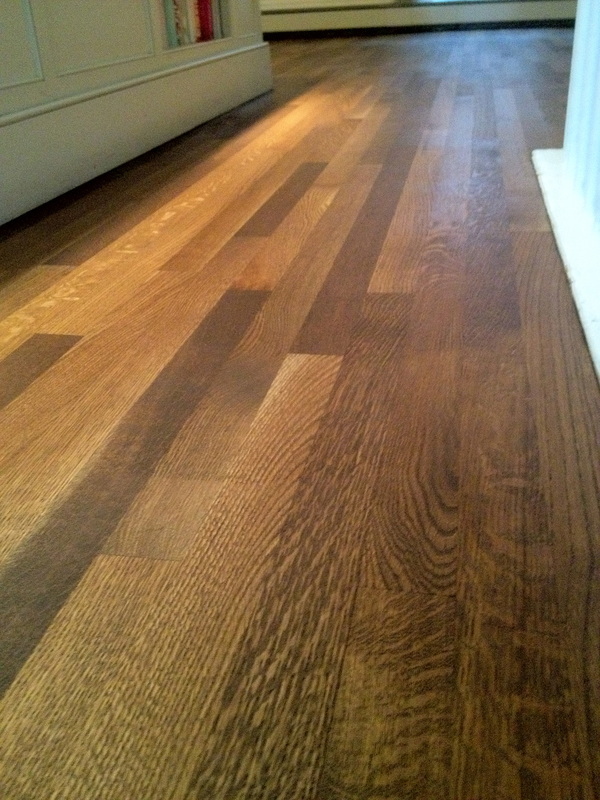 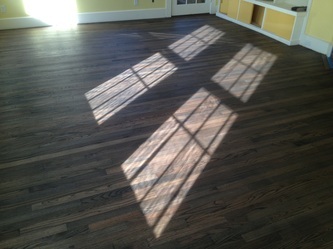 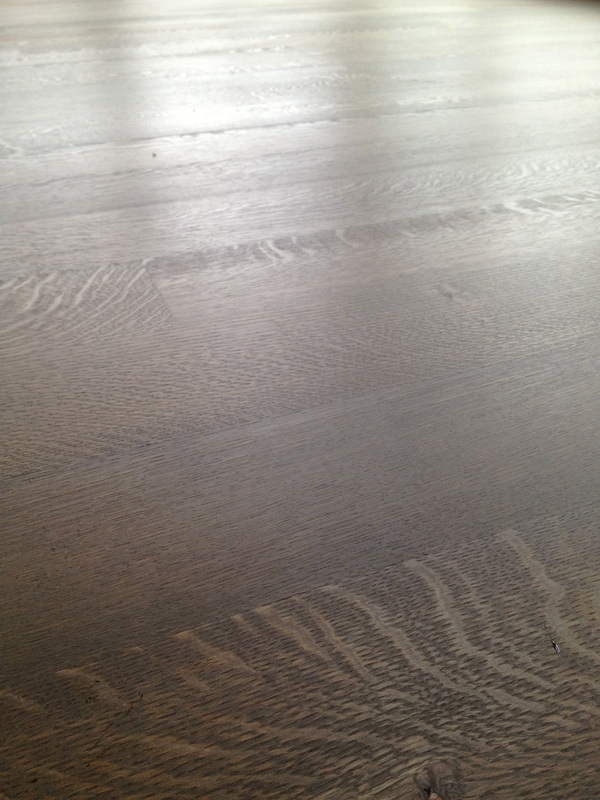 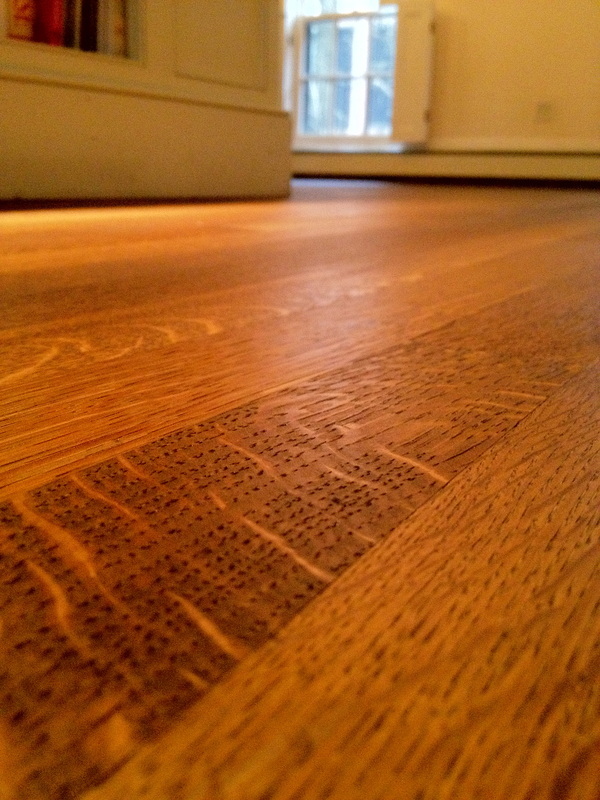 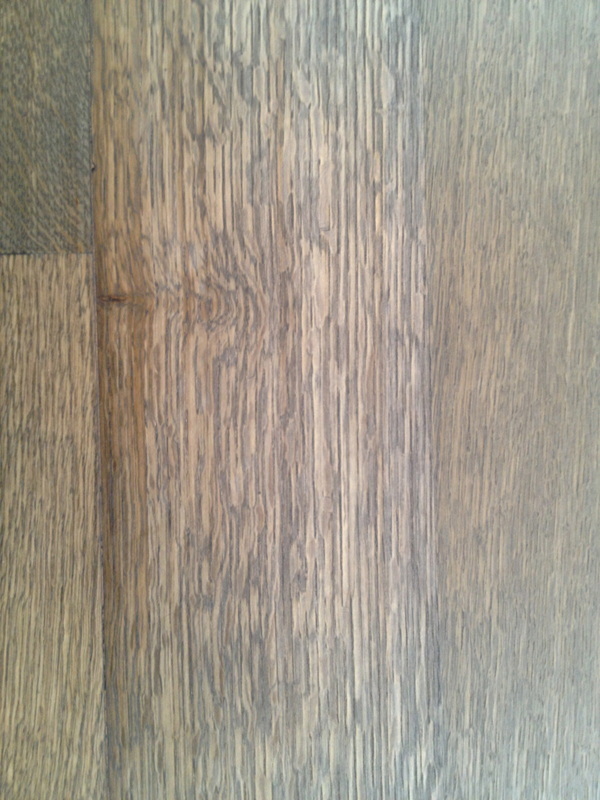 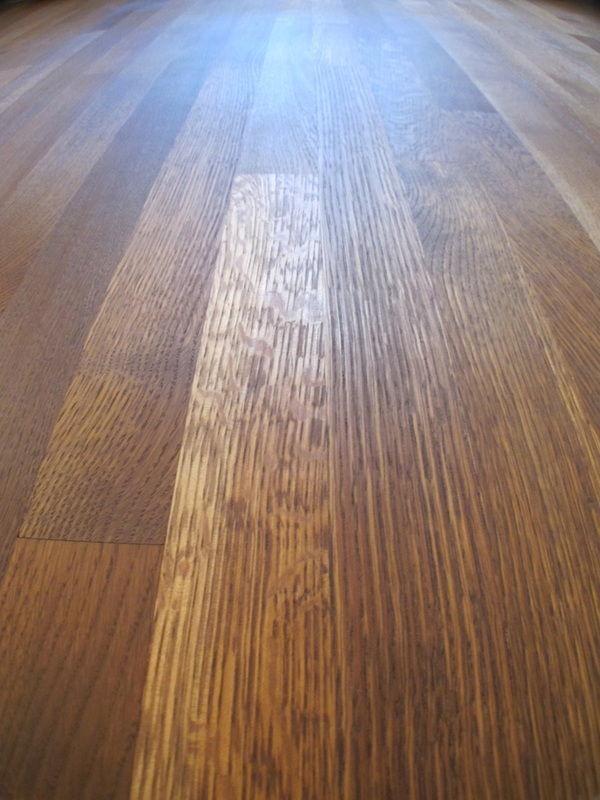 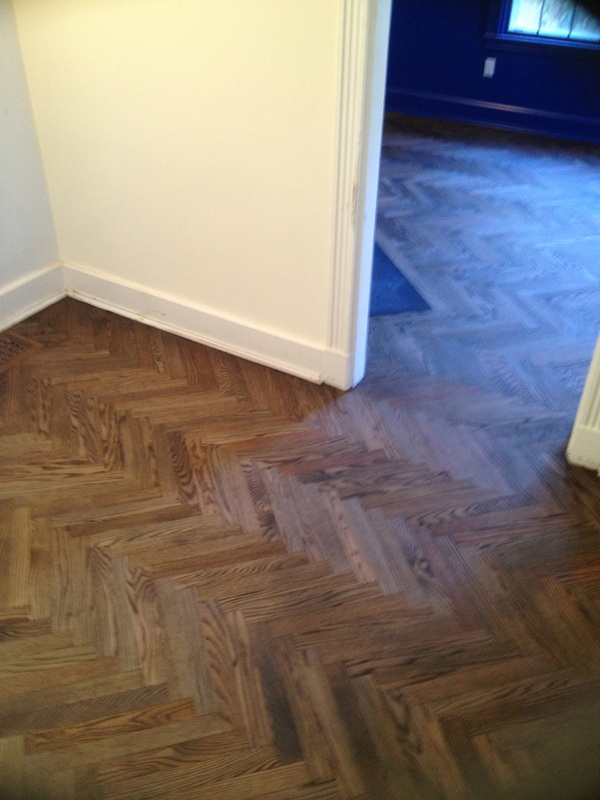 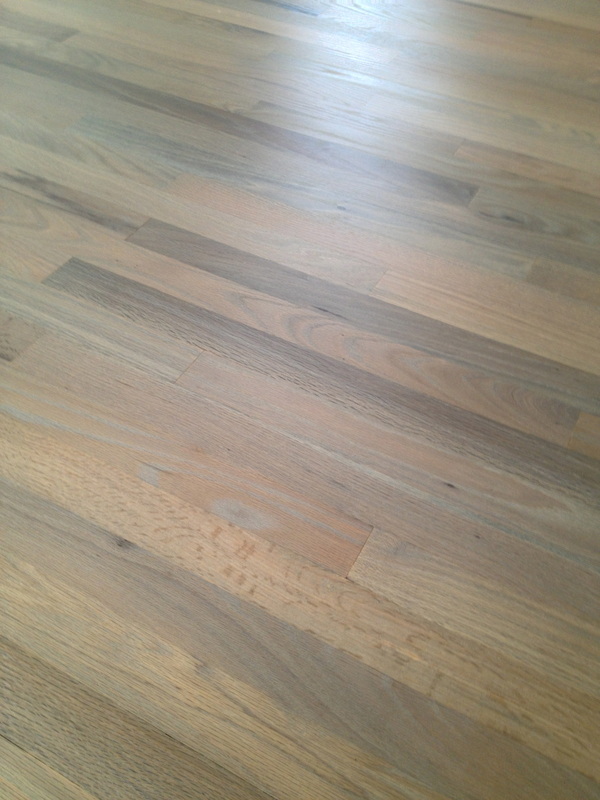 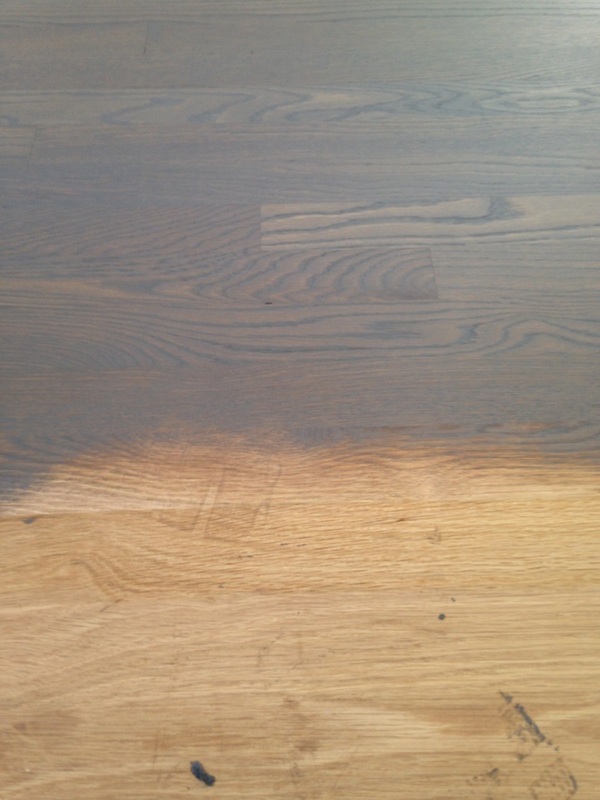 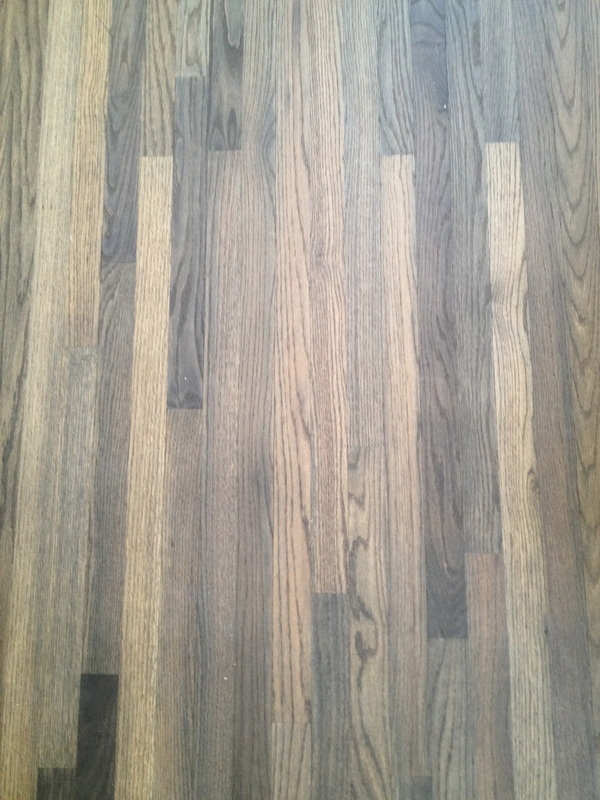 These finishes offer exceptional durability and the ability to spot repair a floor. 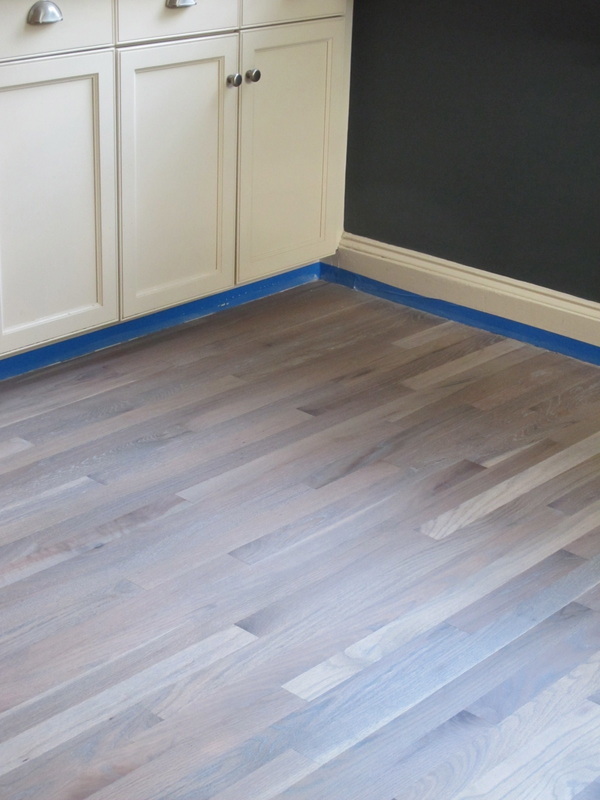 There are many different options when it comes to rubbing oils but the ones that we recommend are, Rubio Monocoat, Pallmann Magic Oil, and Synteko Natural. We just finished an onsite wire brushed job. 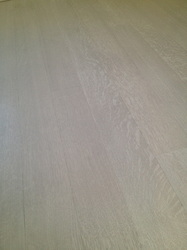 Finished with a 2 part Rubio process. 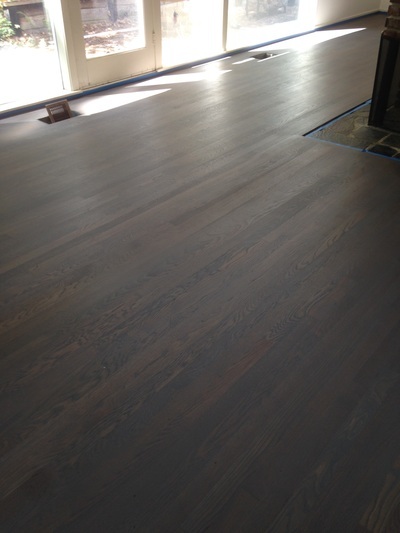 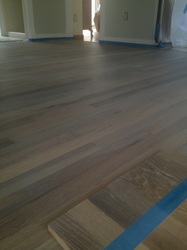 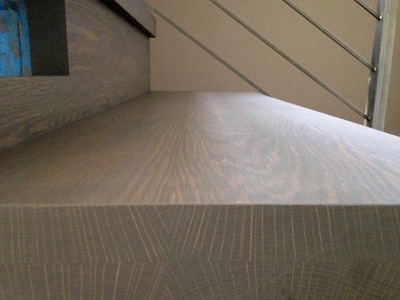 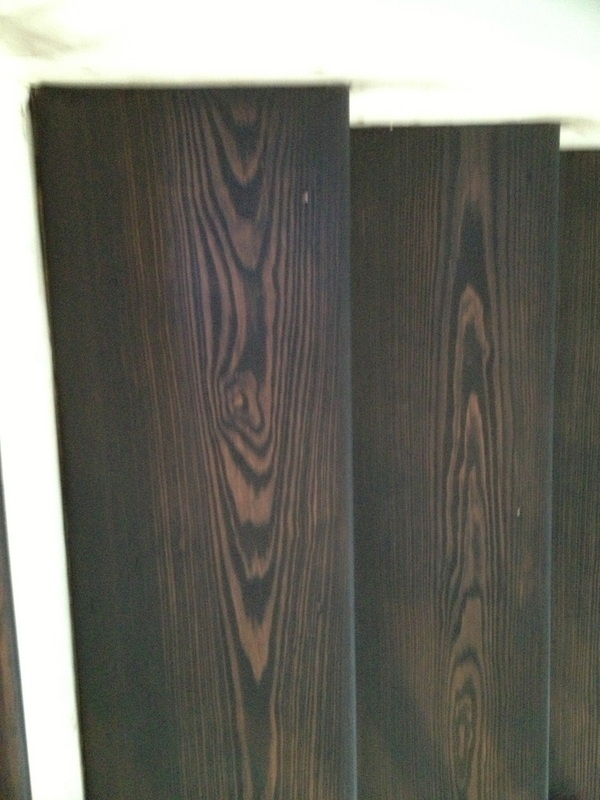 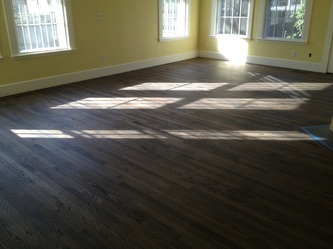 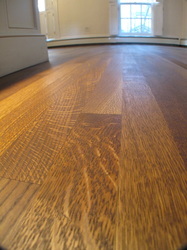 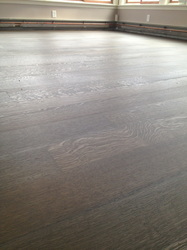 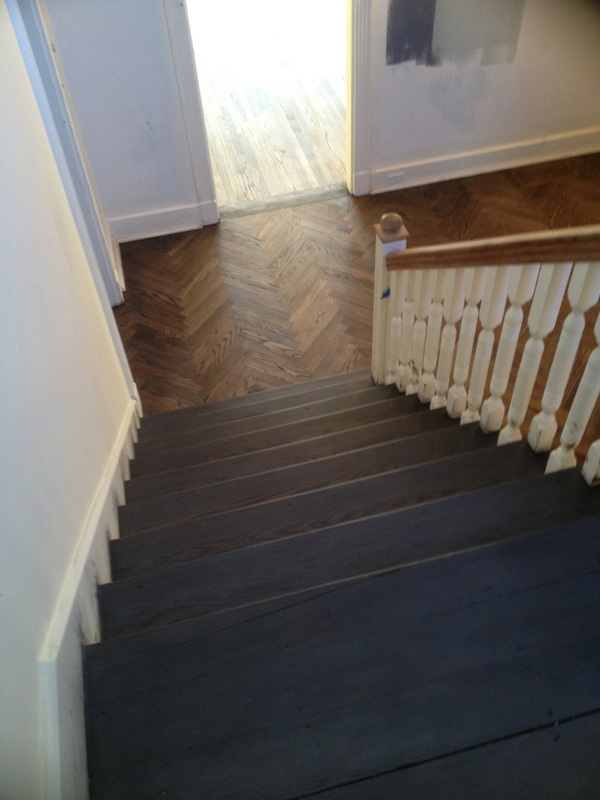 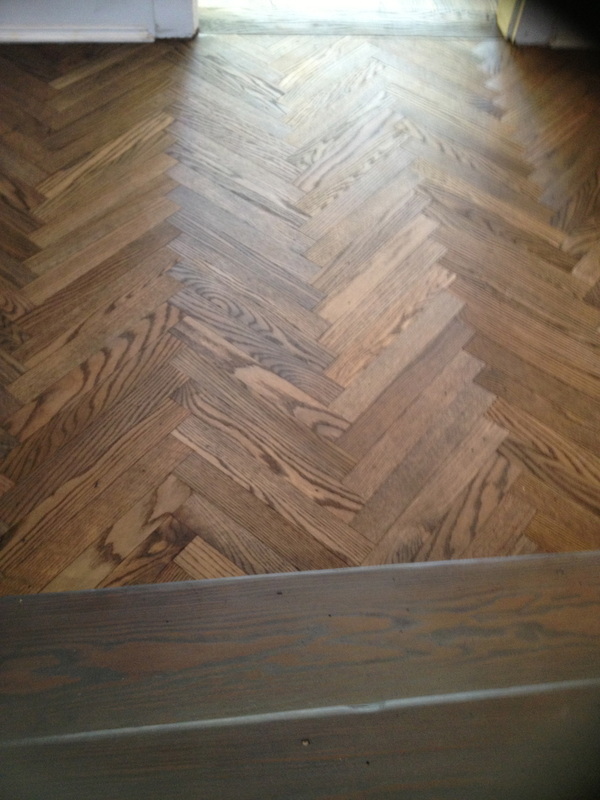 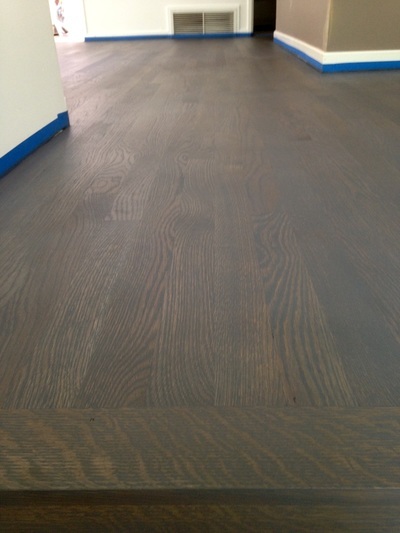 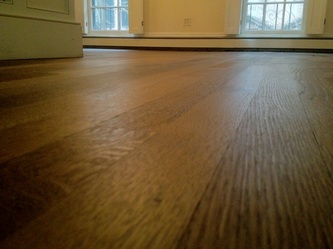 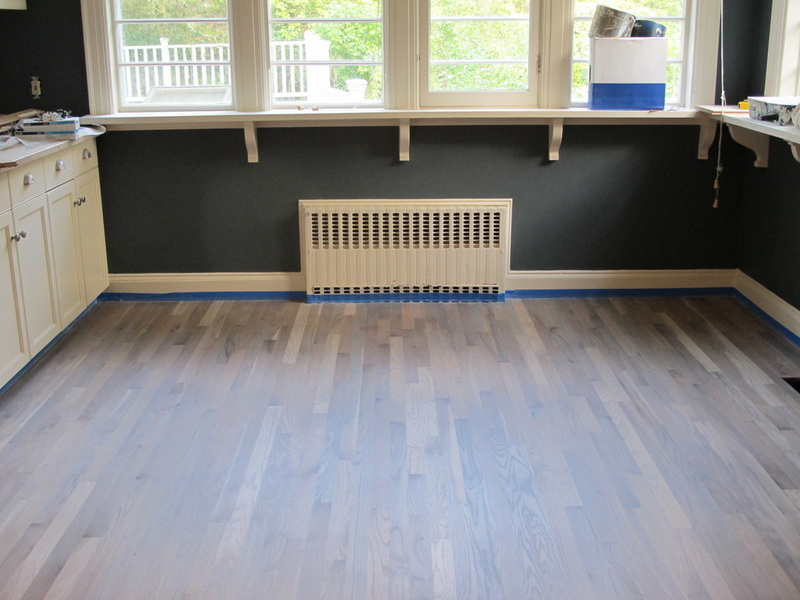 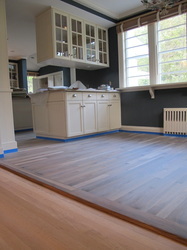 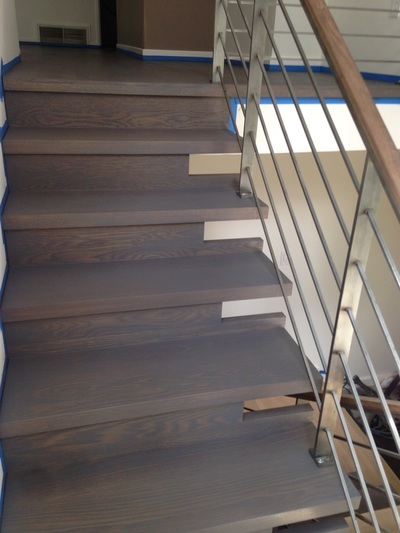 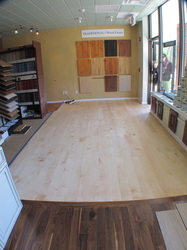 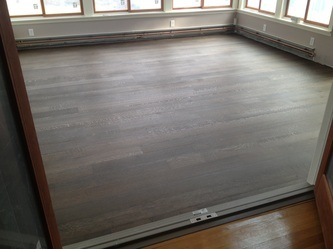 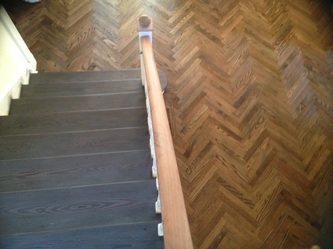 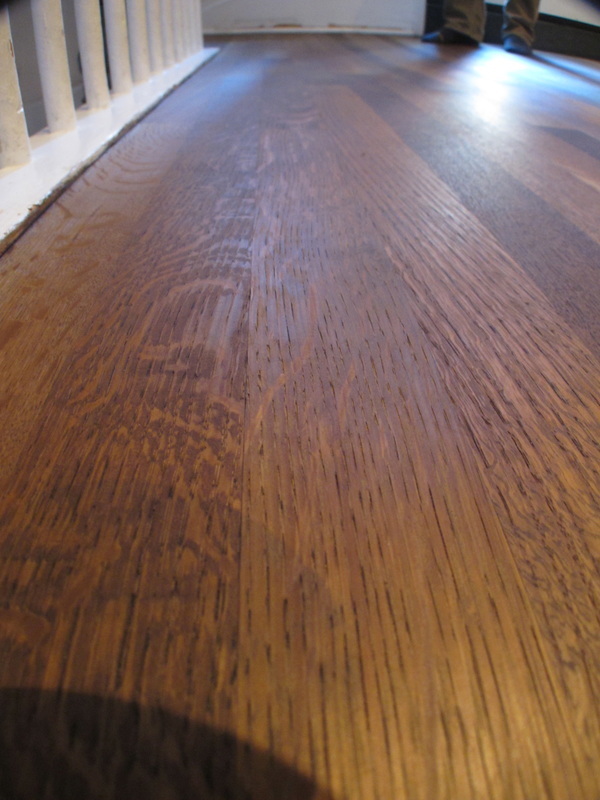 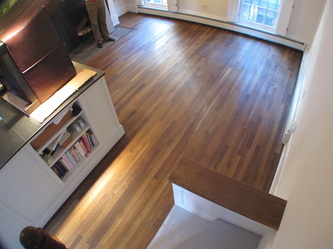 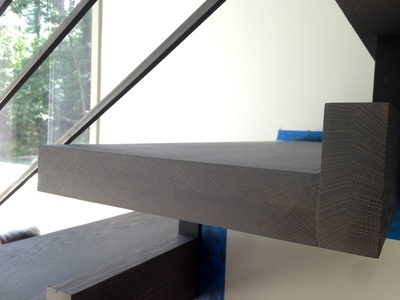 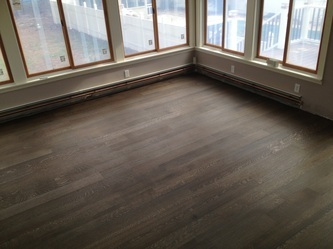 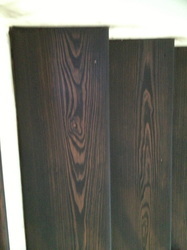 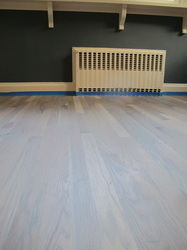 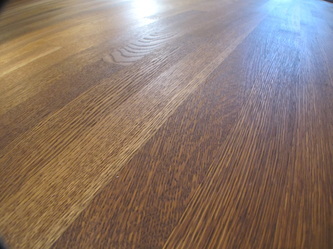 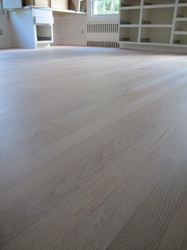 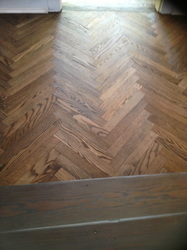 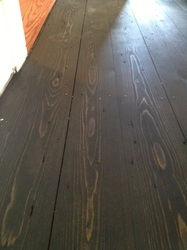 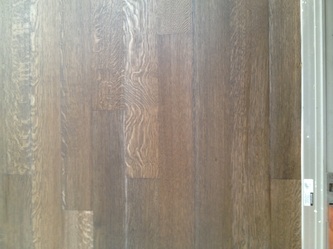 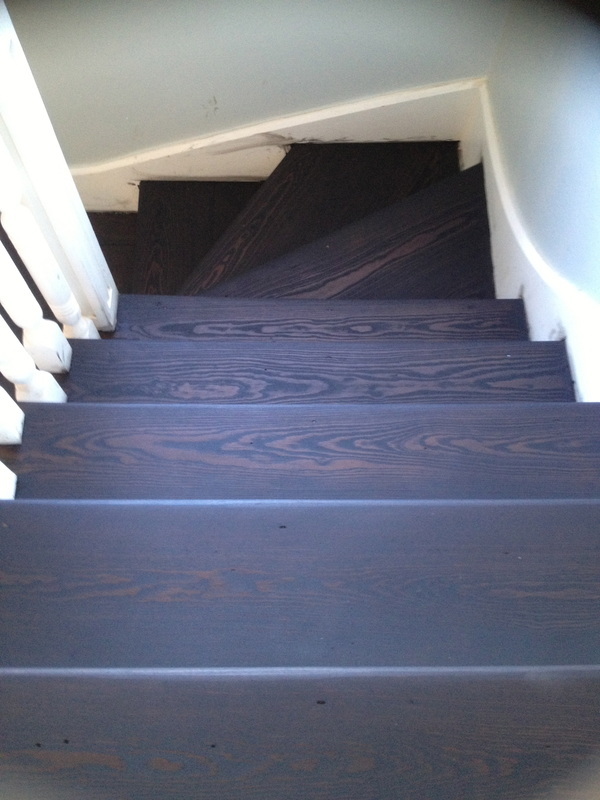 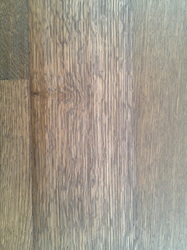 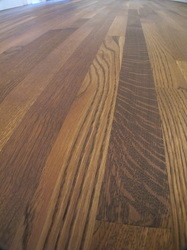 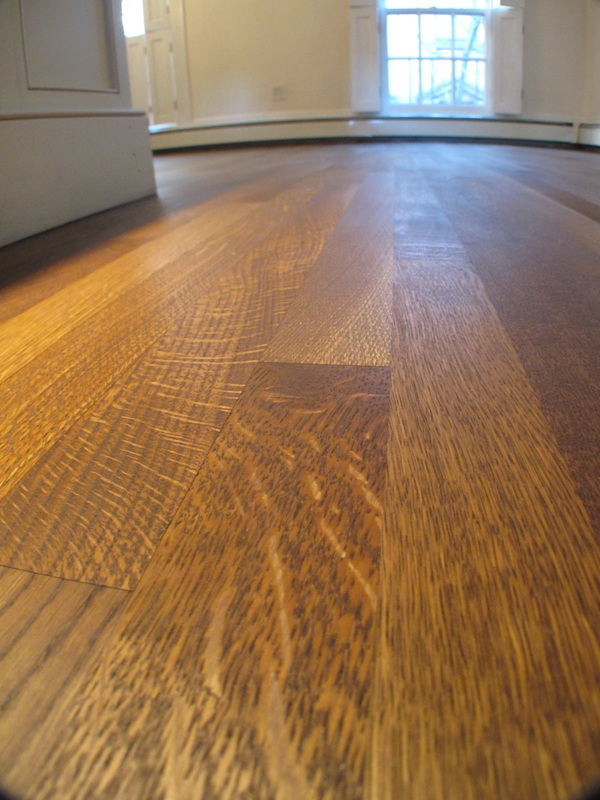 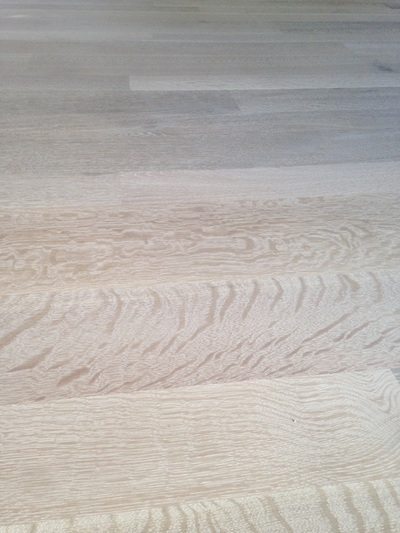 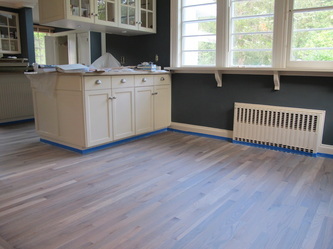 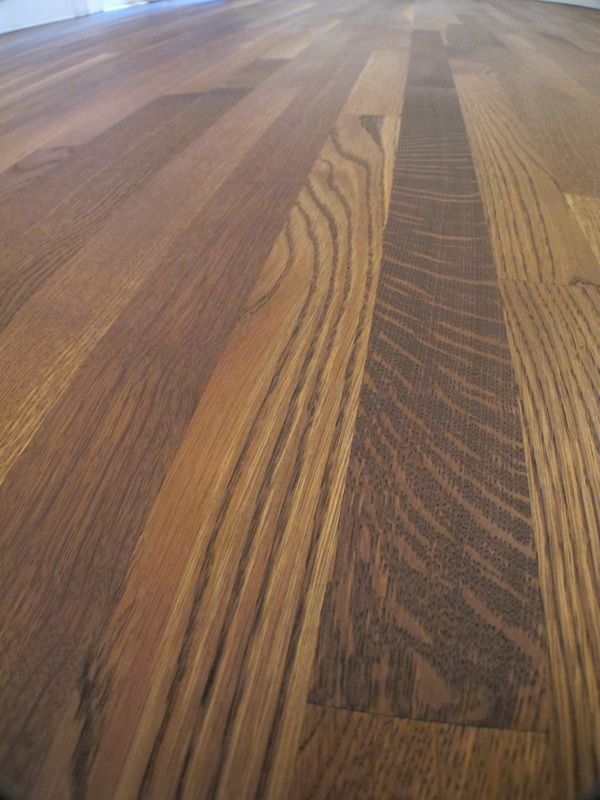 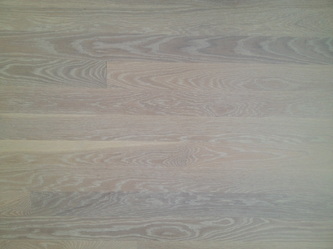 I am impressed with Rubio Monocoat and its ability to color and protect the wood. And with no offensive odor! 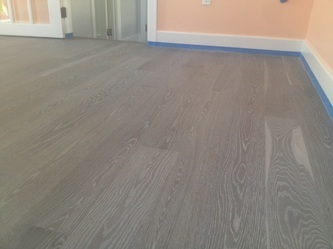 As far as I know, this might be the first onsite wire brushed Rubio floor? 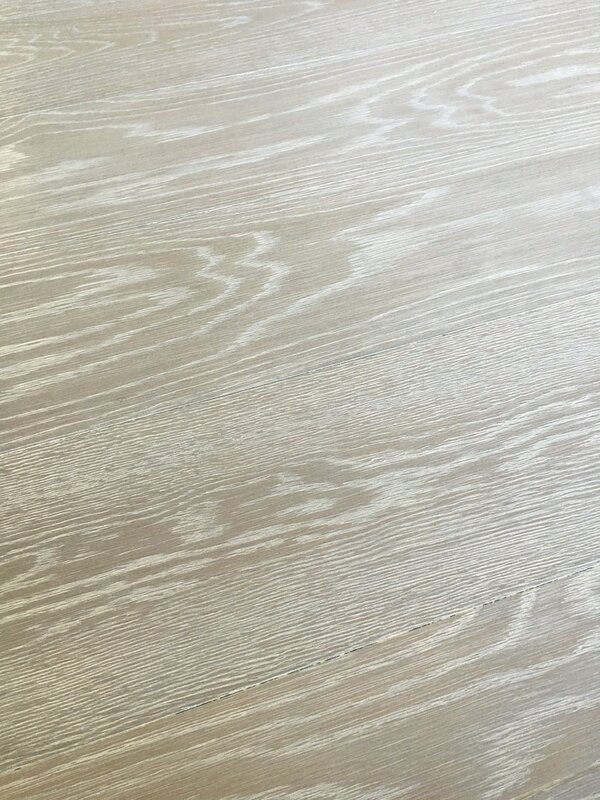 Certainly the first we have seen! 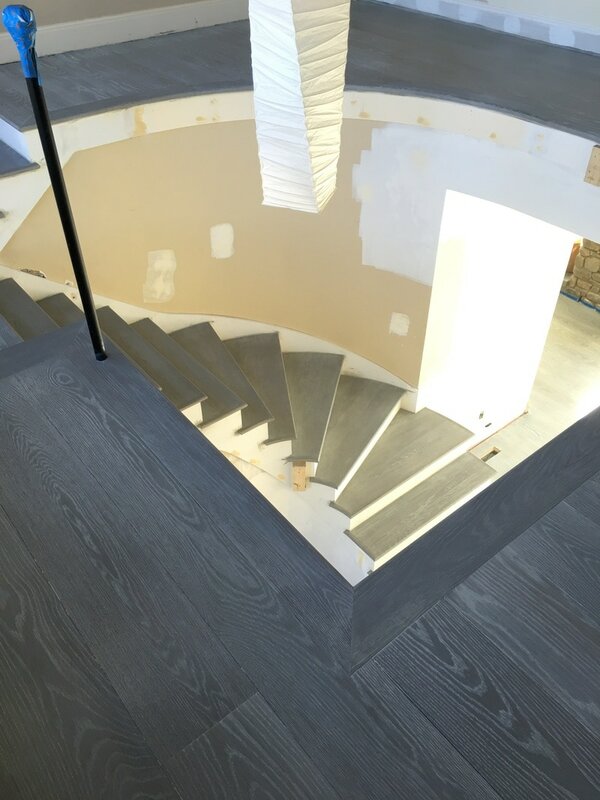 The owner was blown away with the floor. 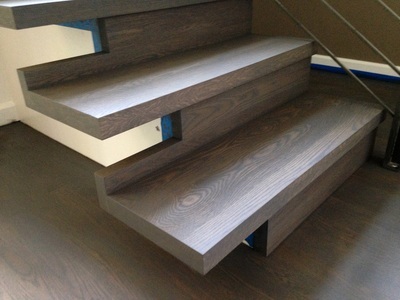 That fine furniture look is not only for furniture. 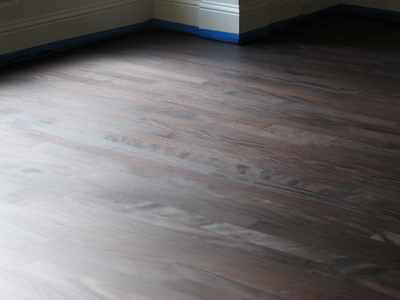 Proper technique, know how and a little design goes into a pre-treated, hand rubbed floor.